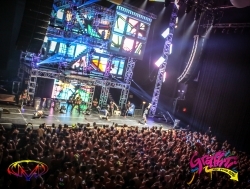 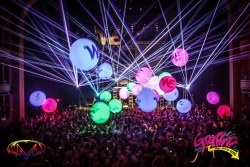 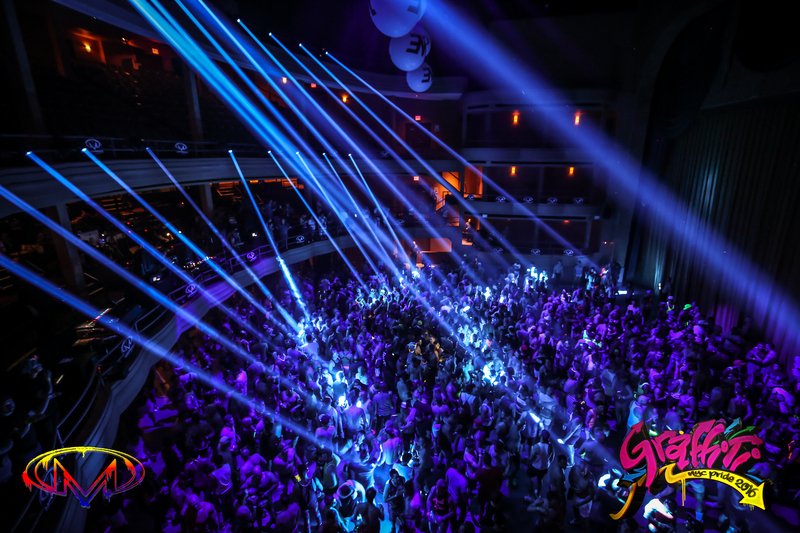 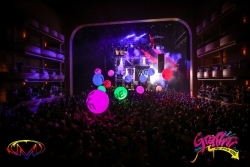 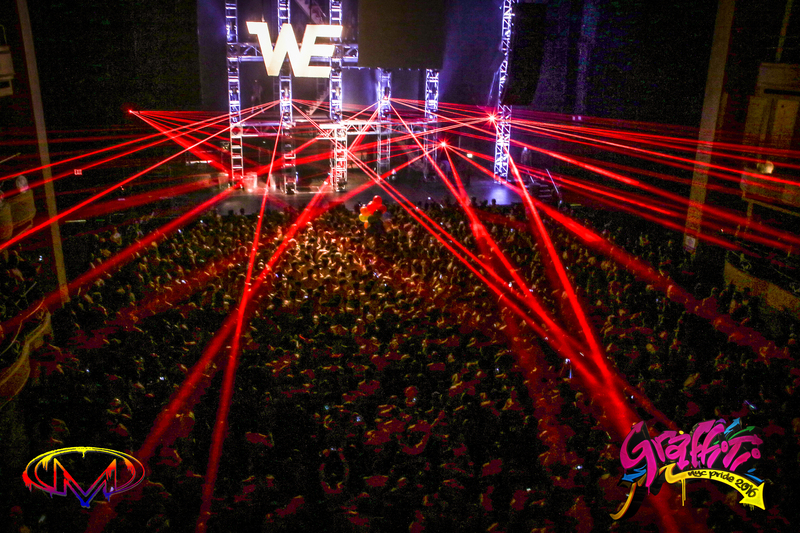 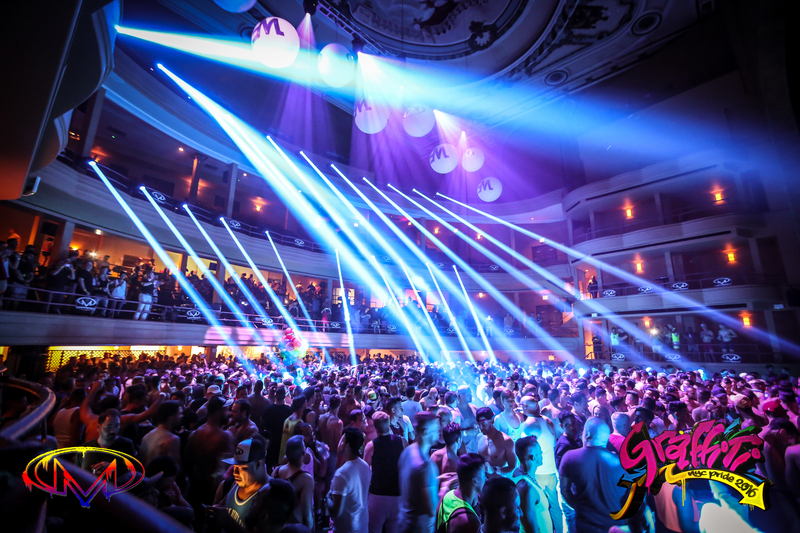 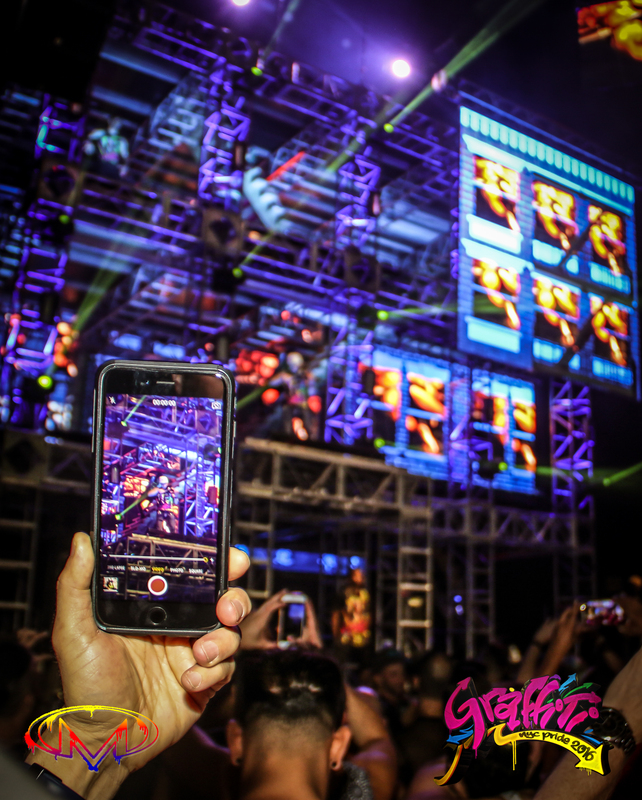 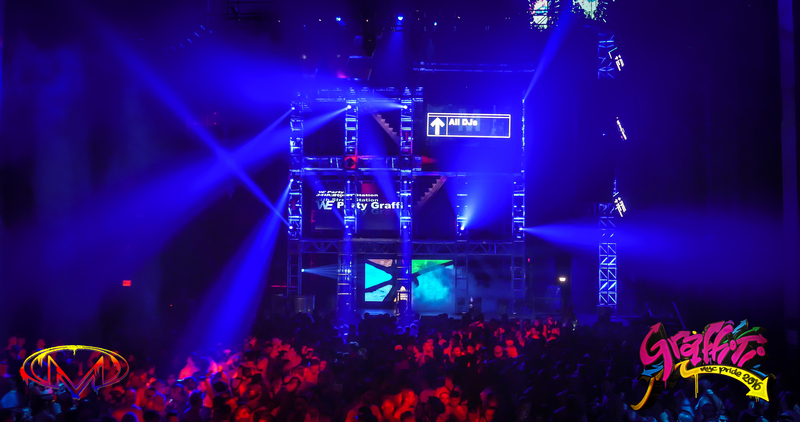 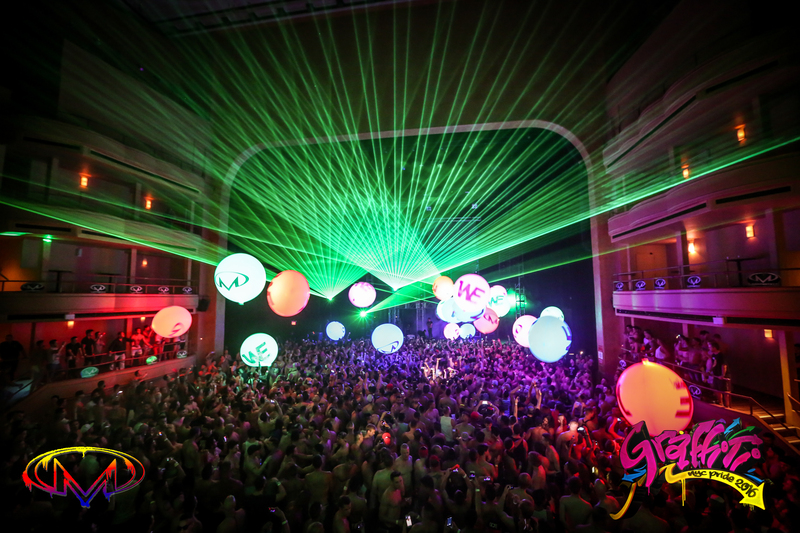 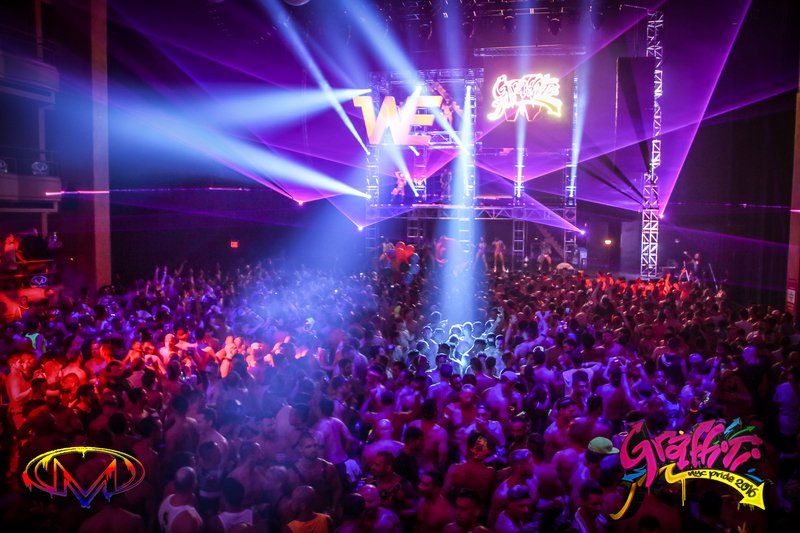 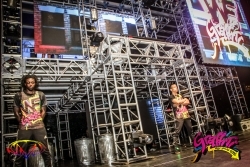 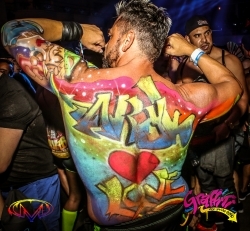 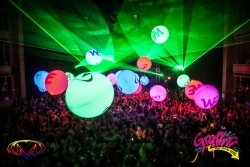 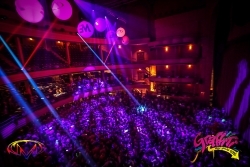 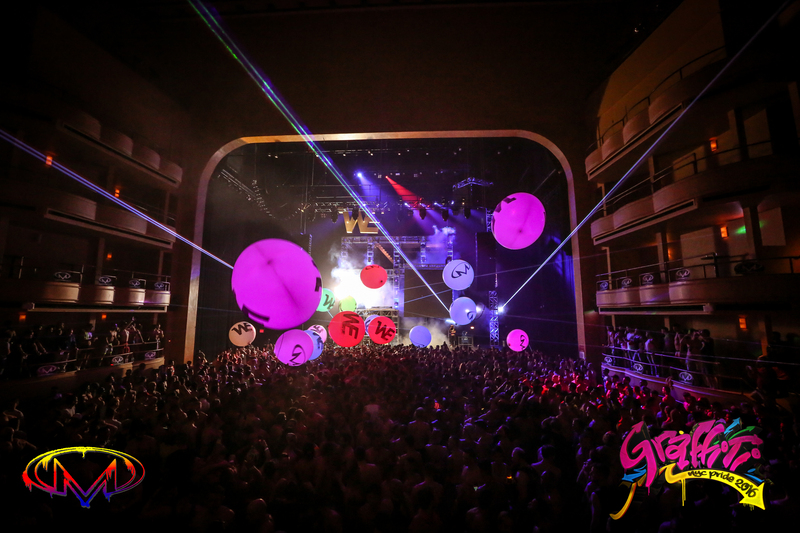 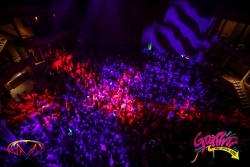 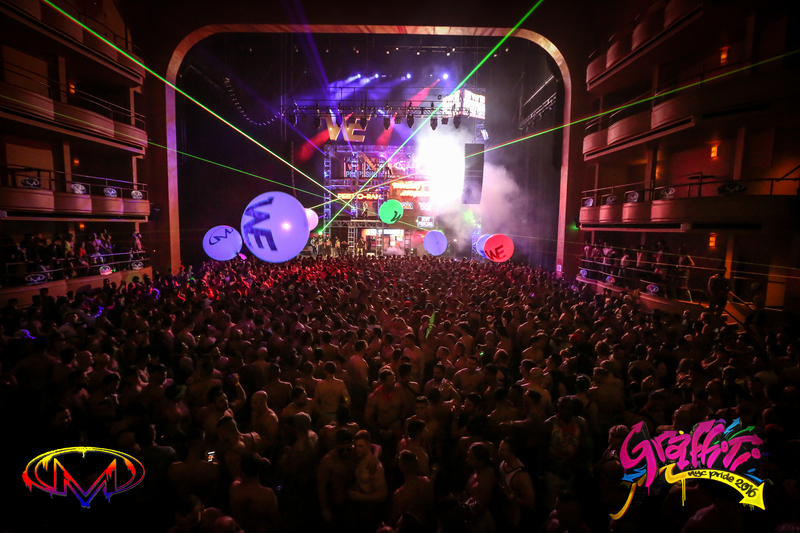 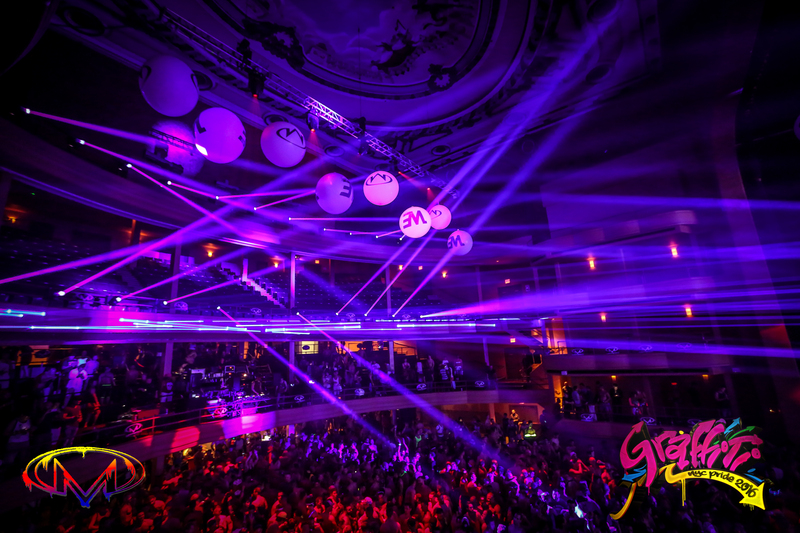 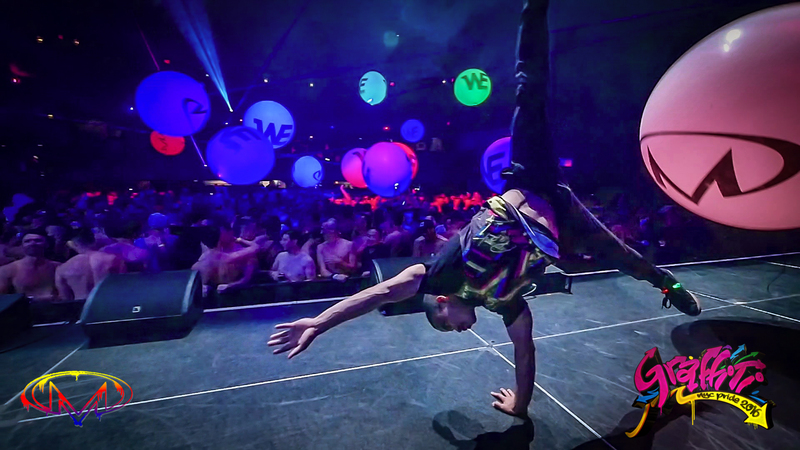 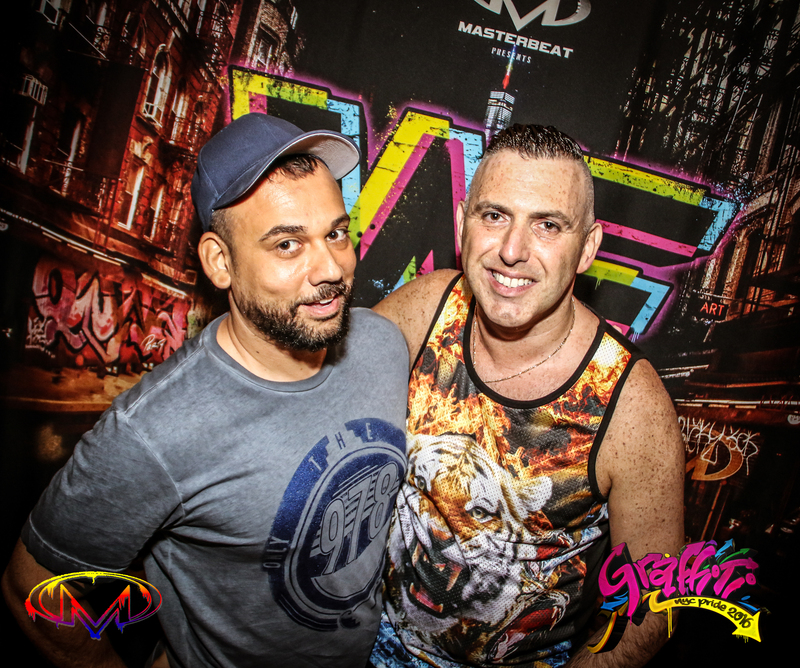 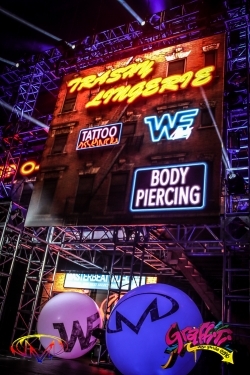 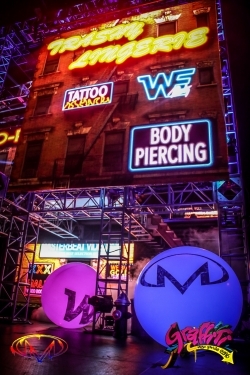 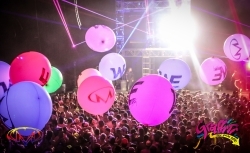 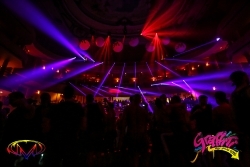 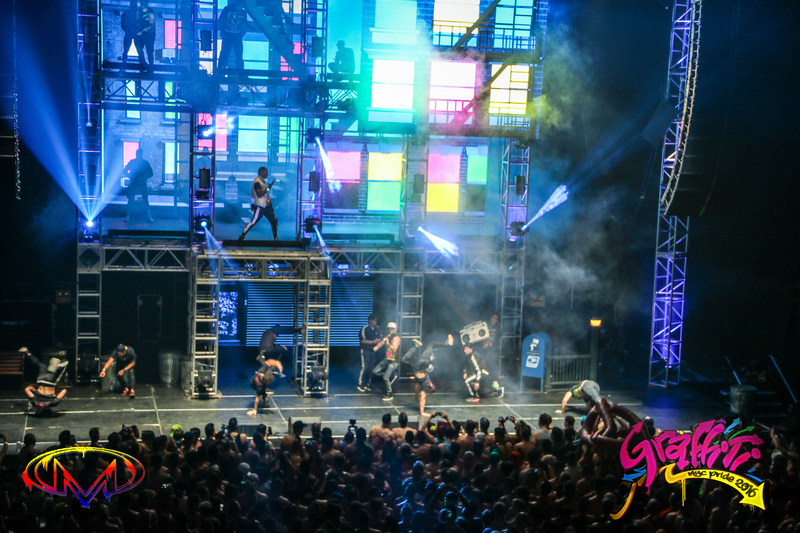 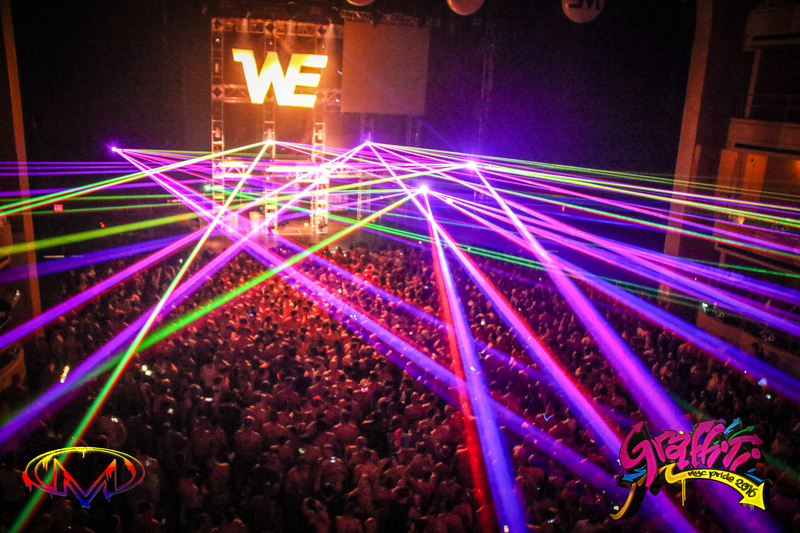 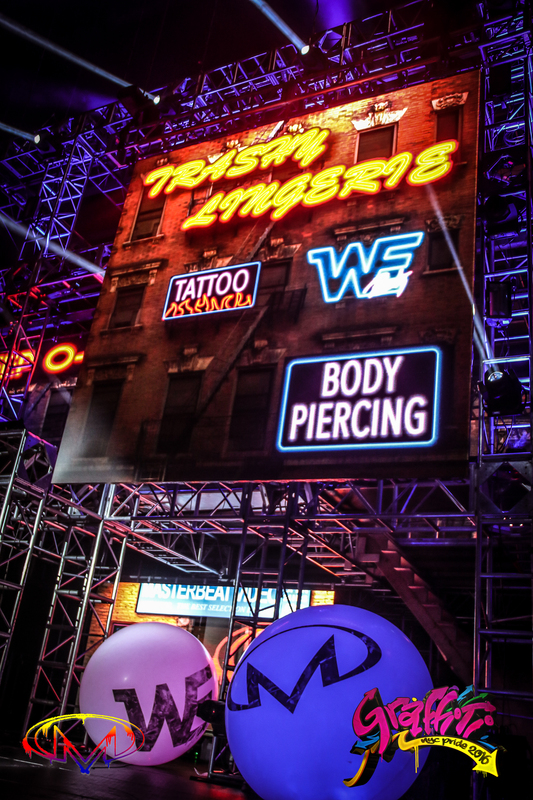 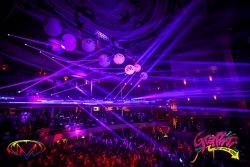 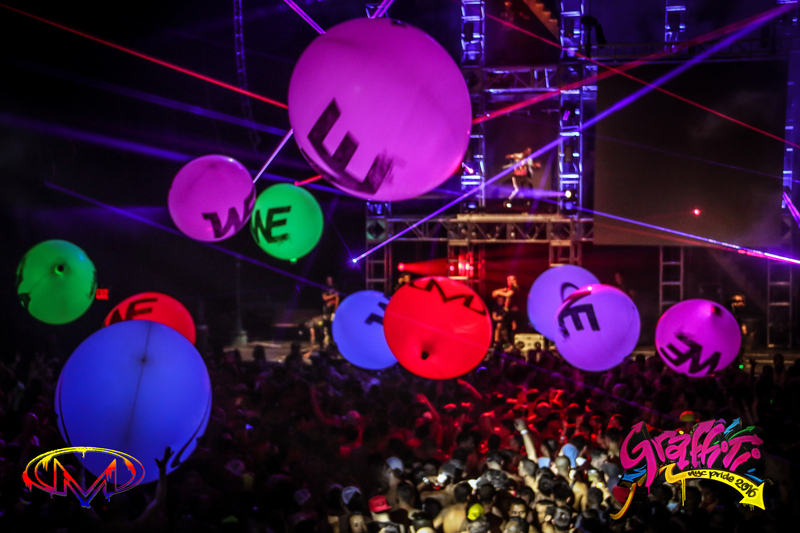 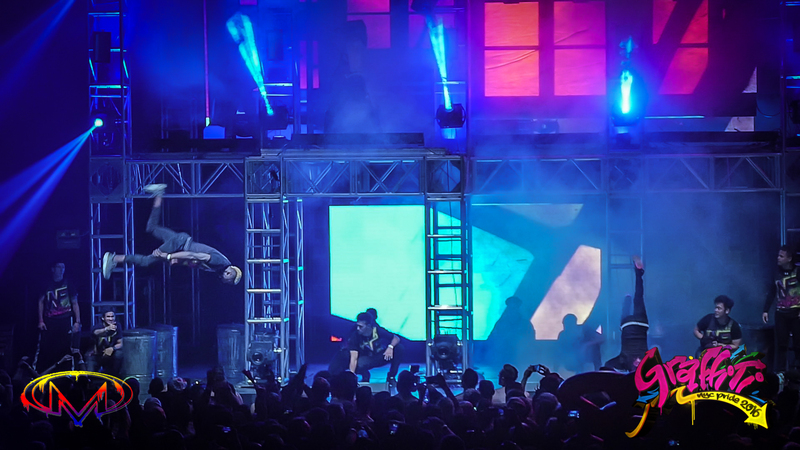 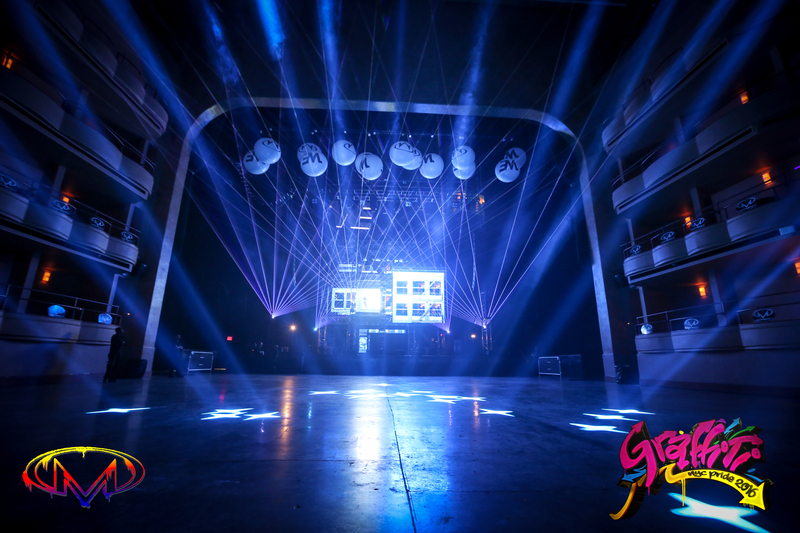 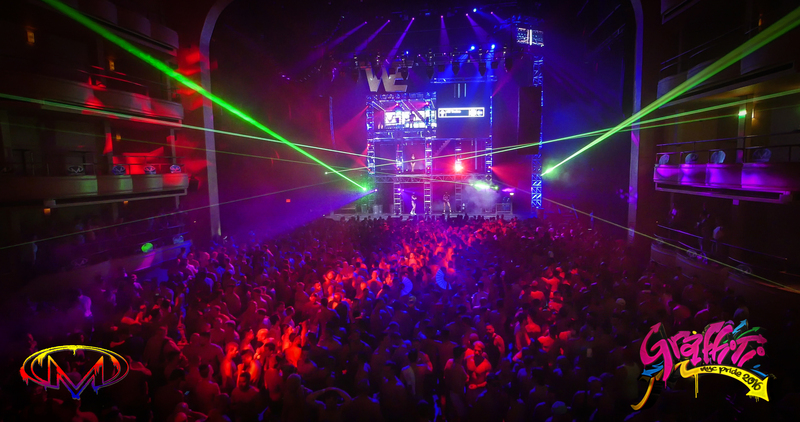 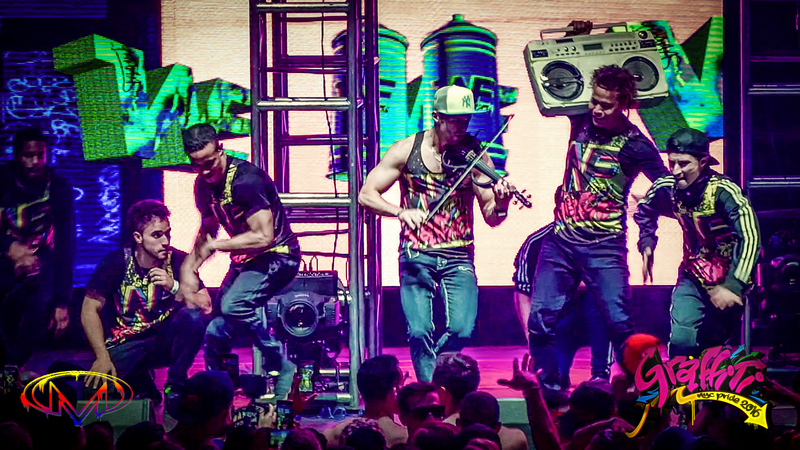 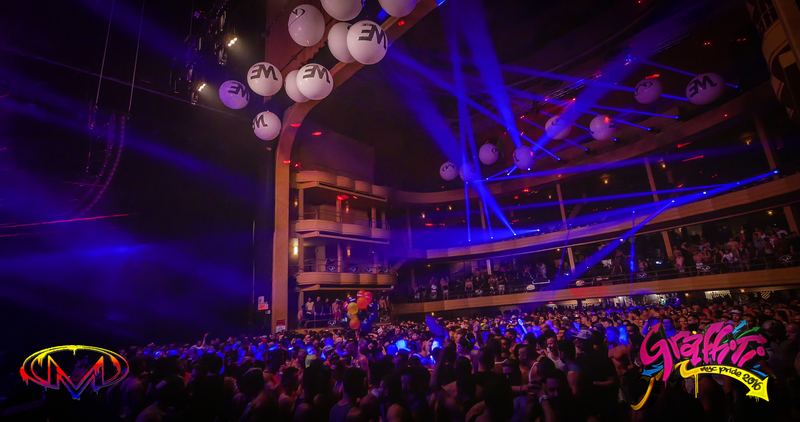 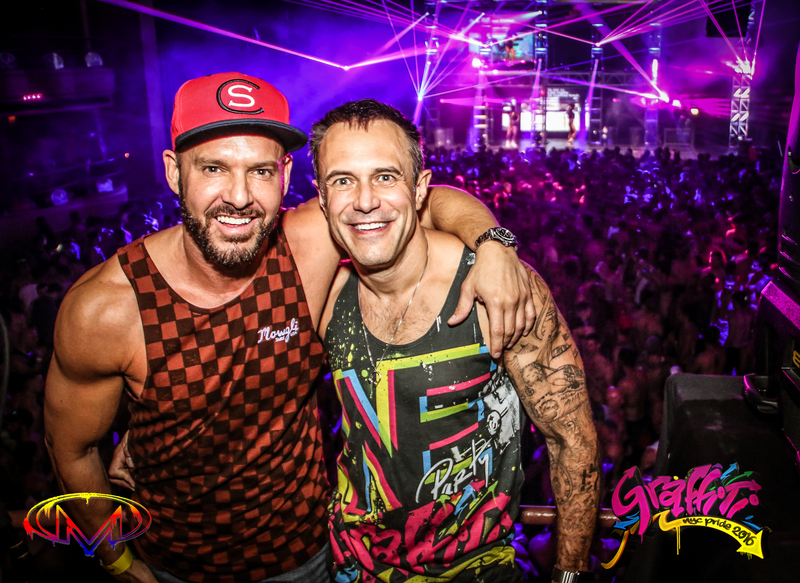 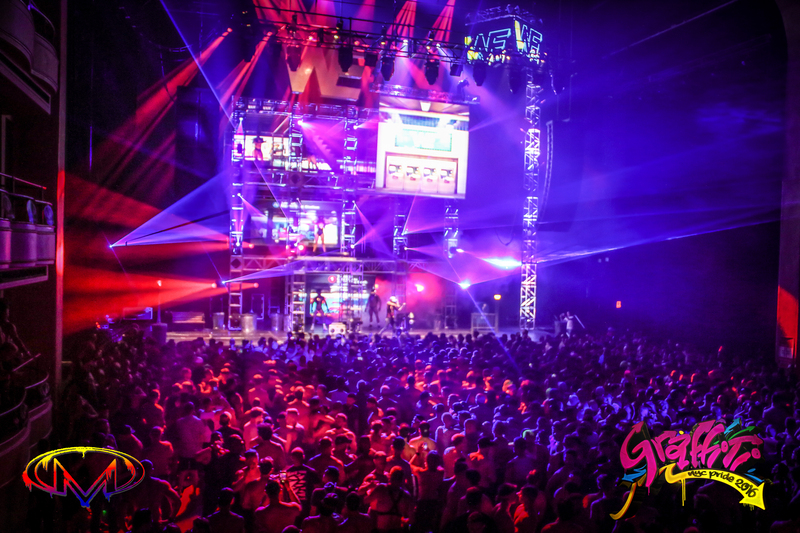 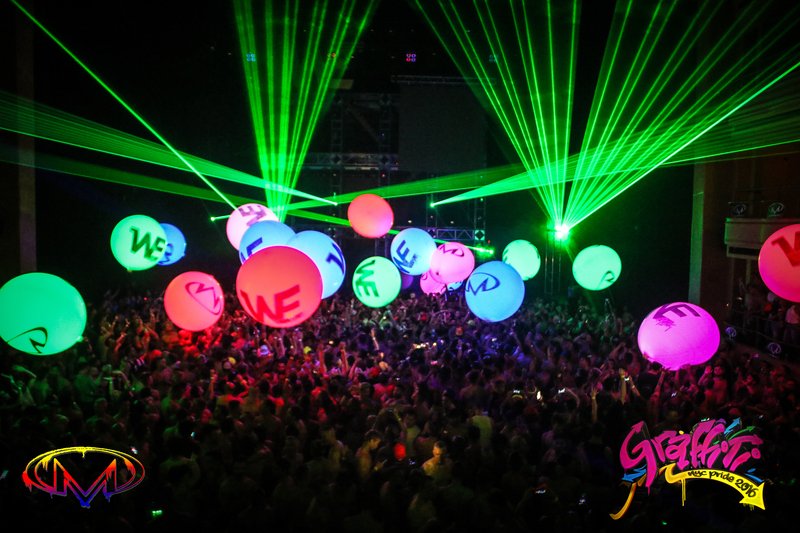 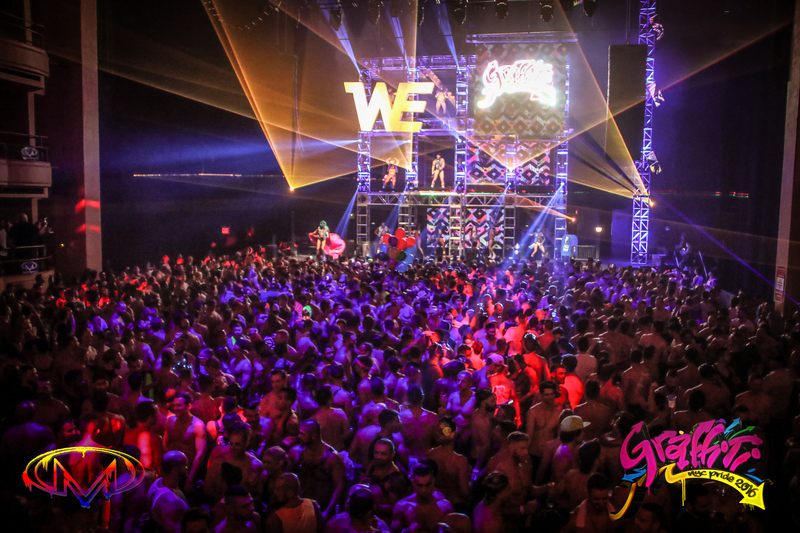 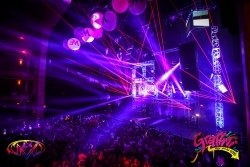 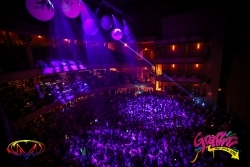 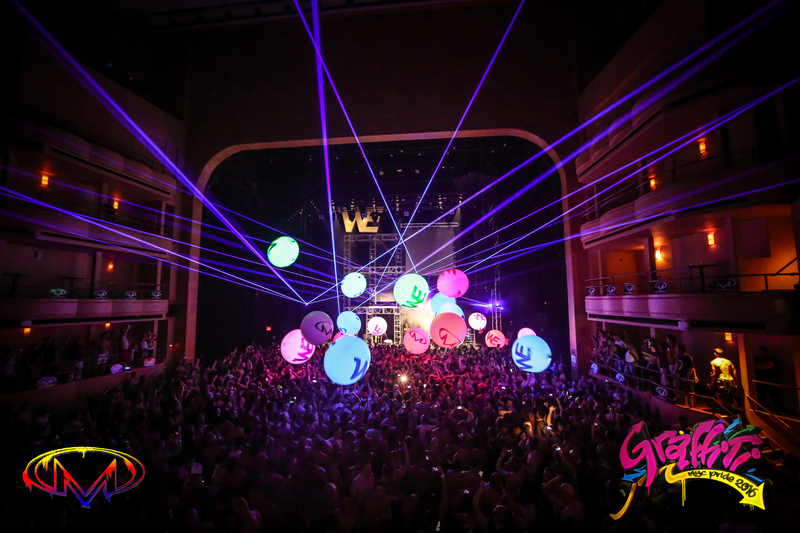 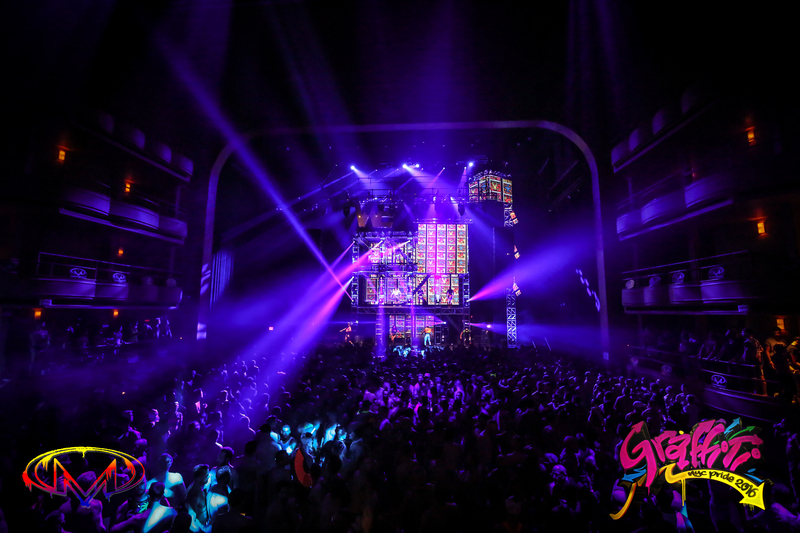 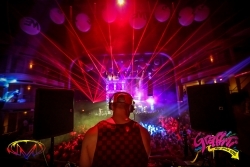 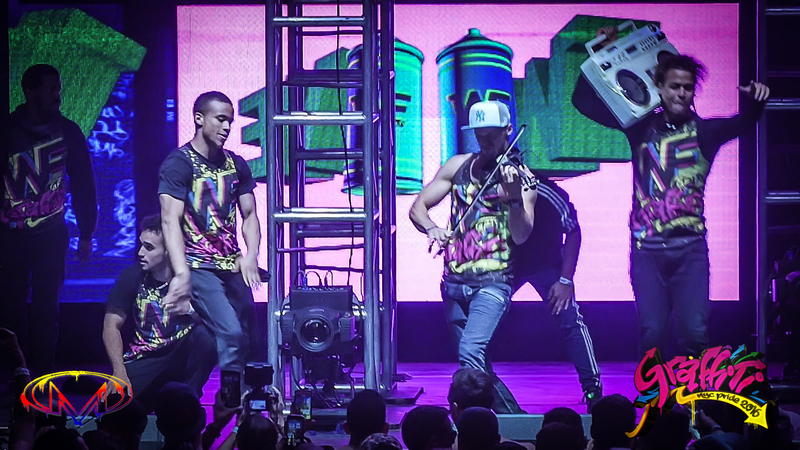 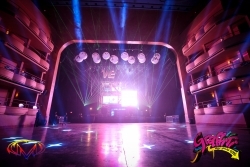 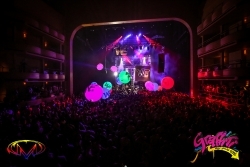 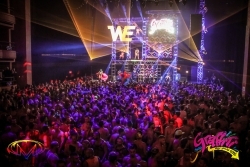 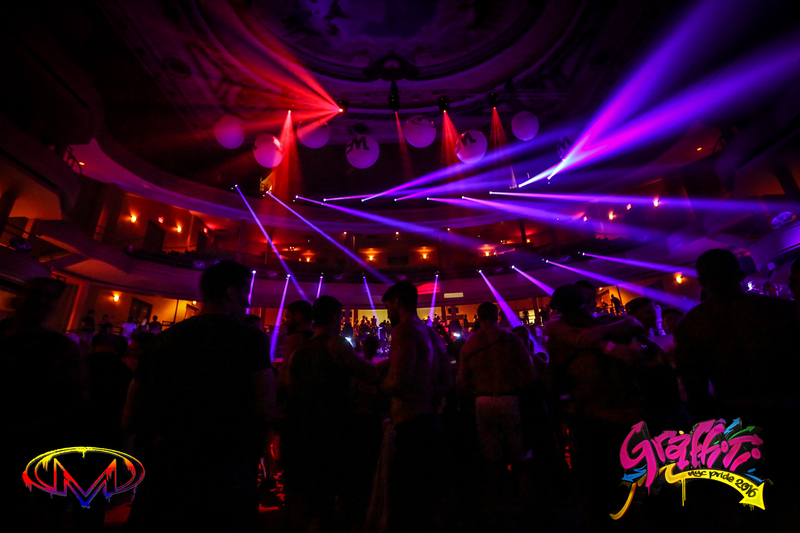 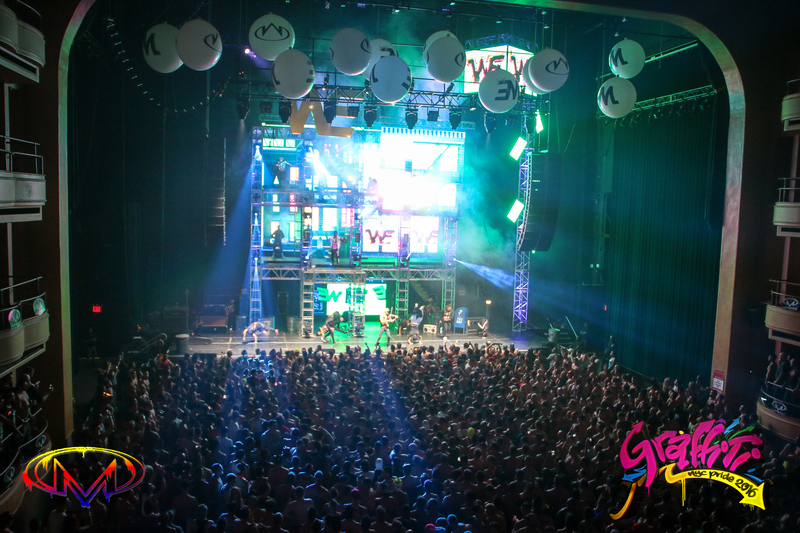 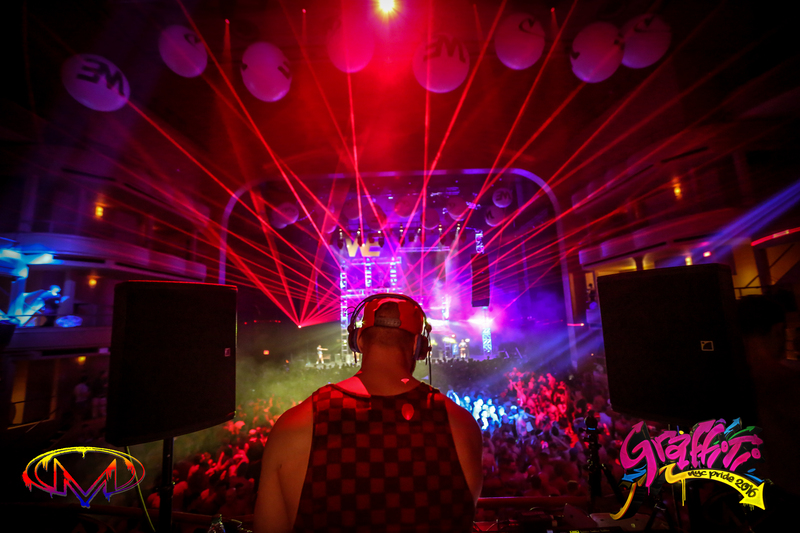 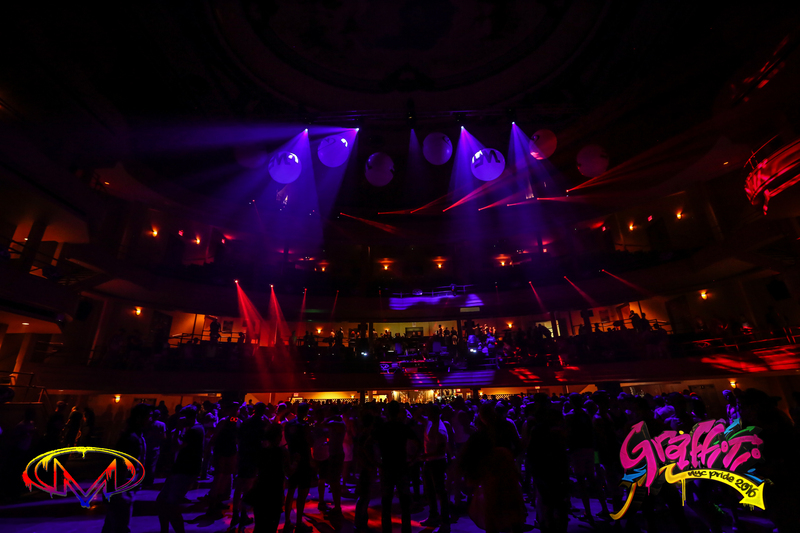 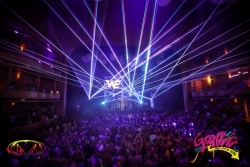 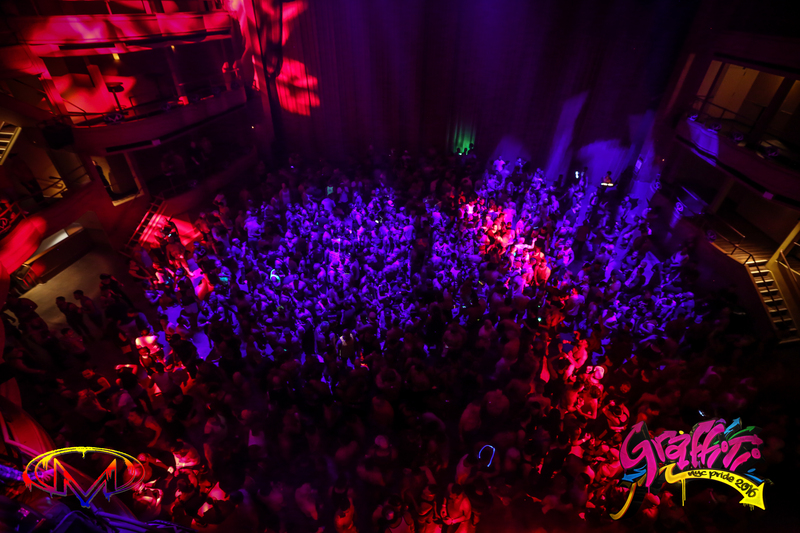 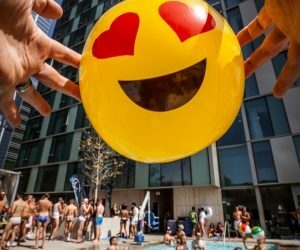 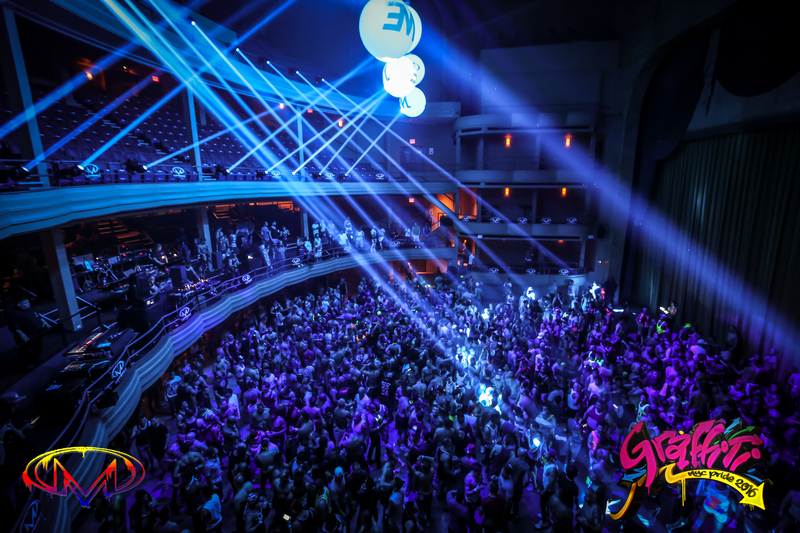 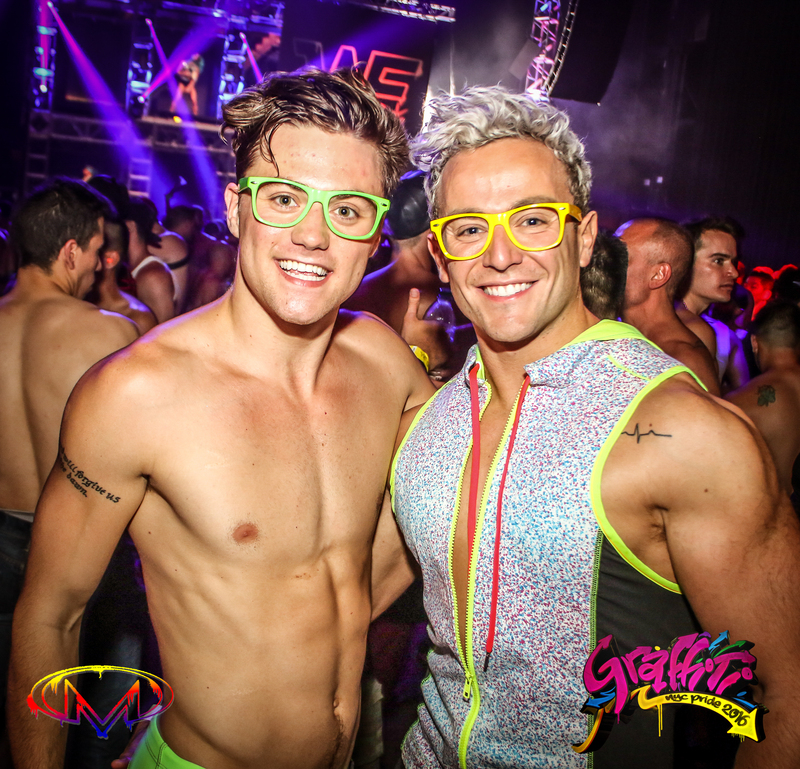 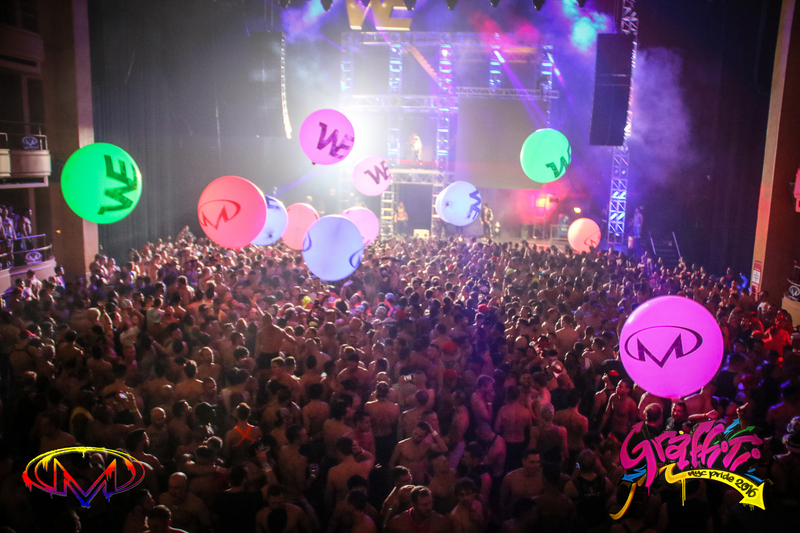 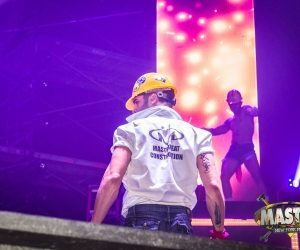 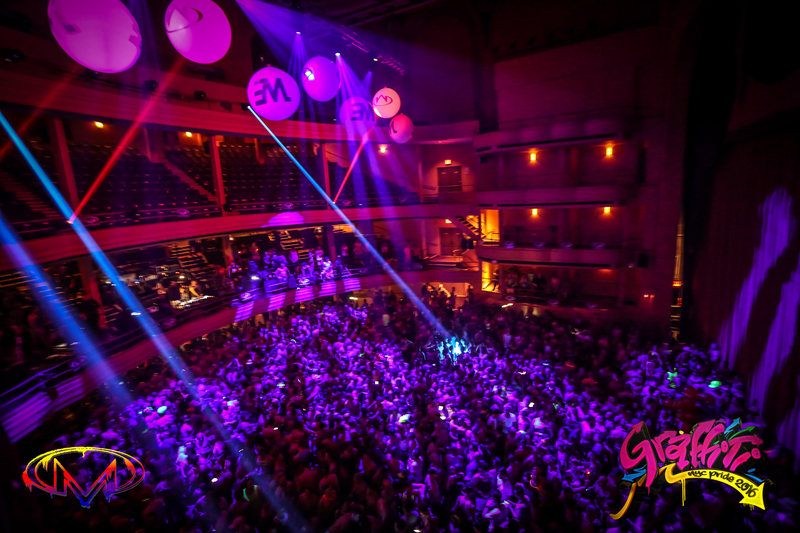 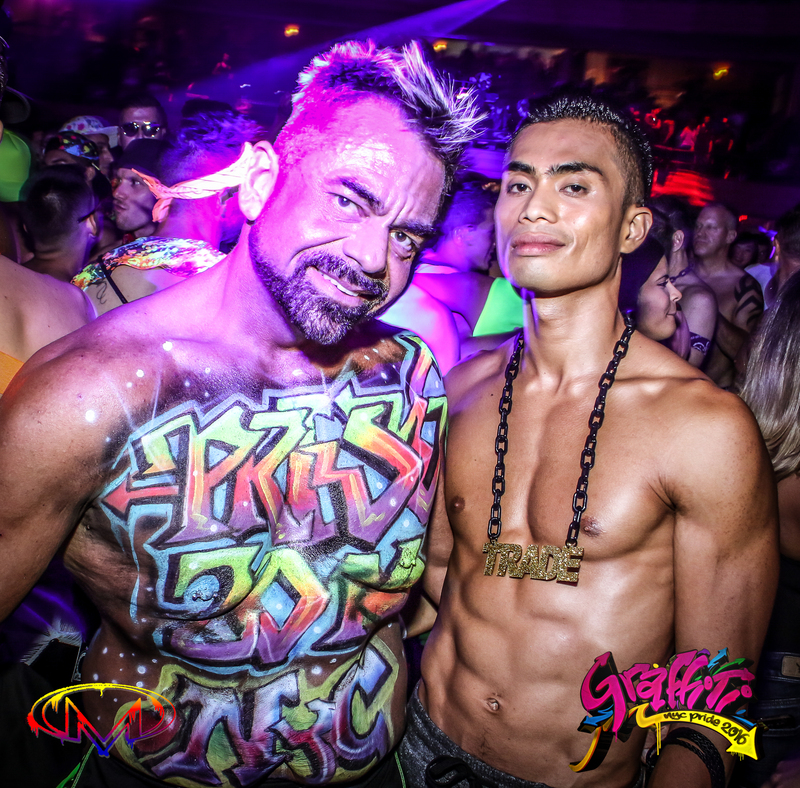 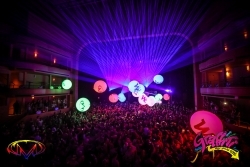 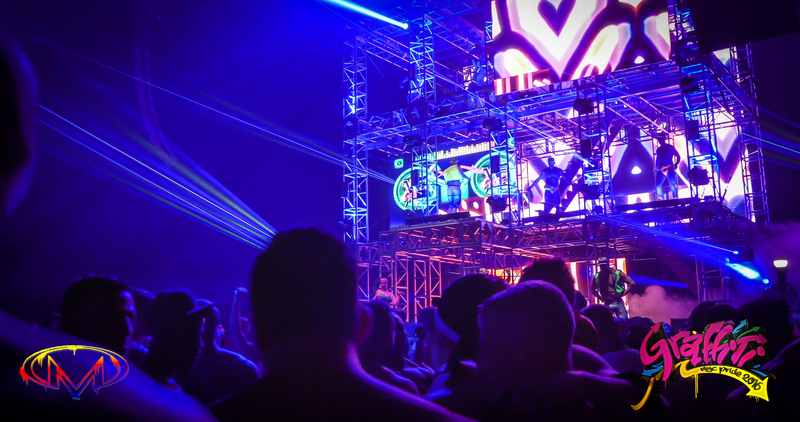 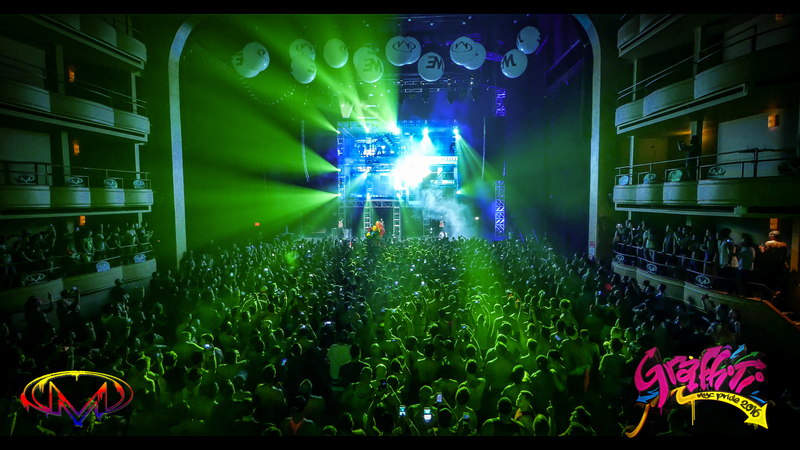 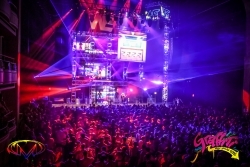 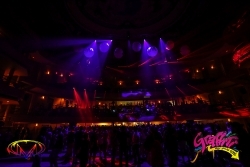 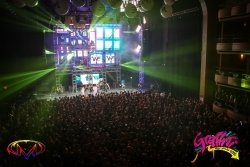 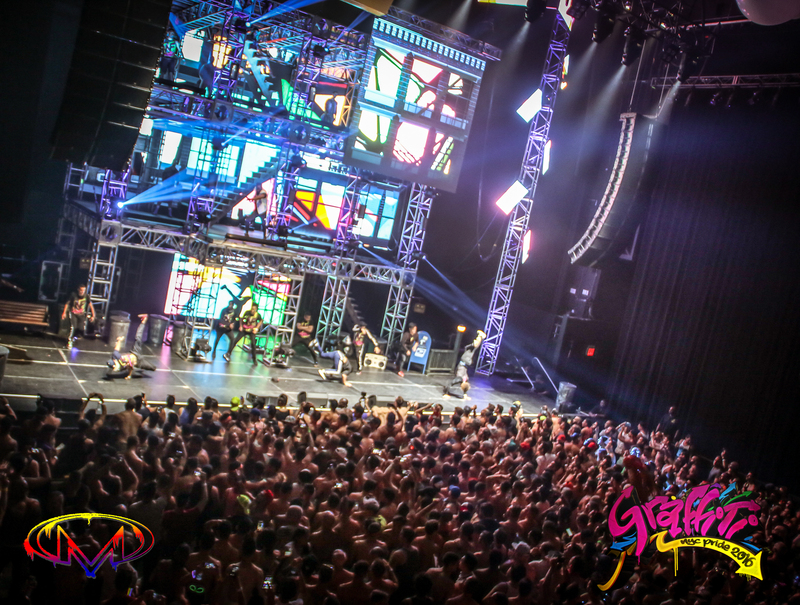 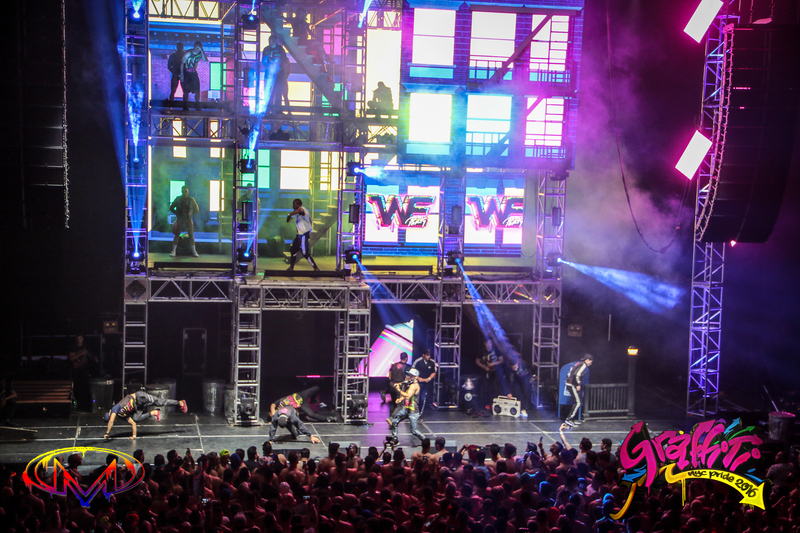 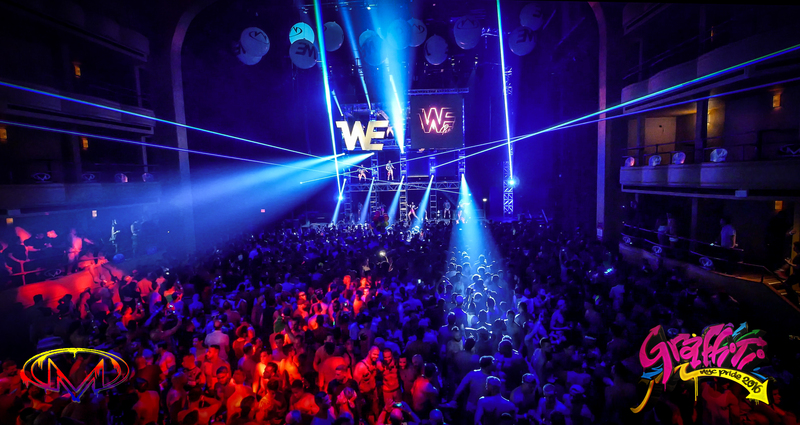 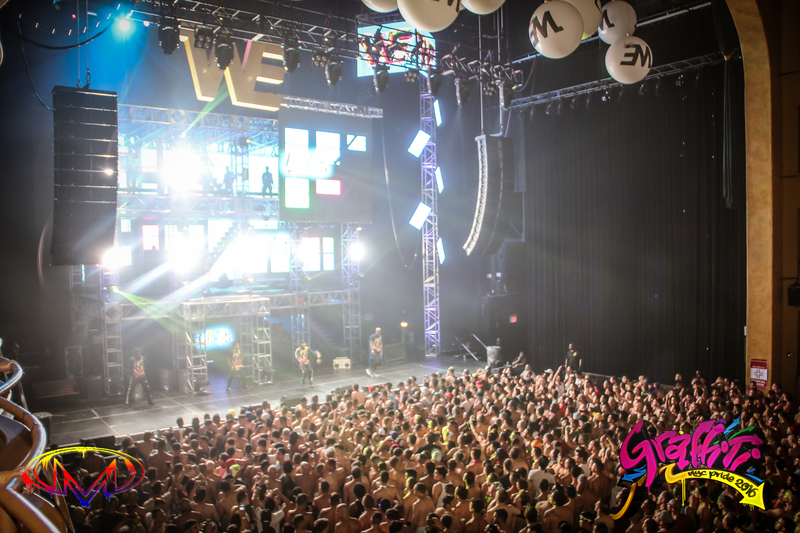 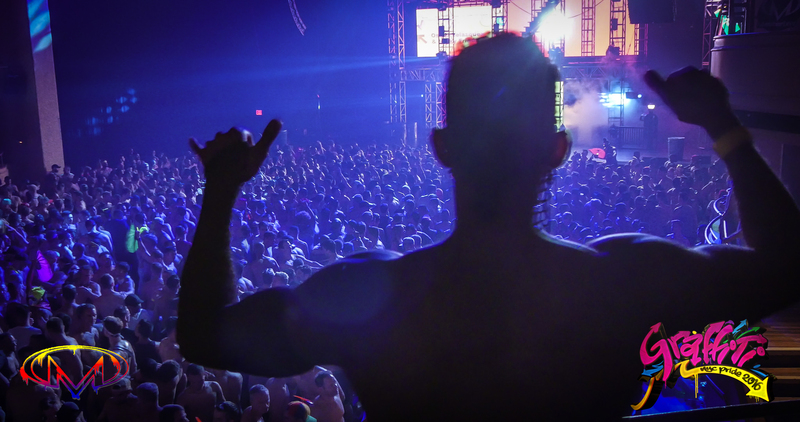 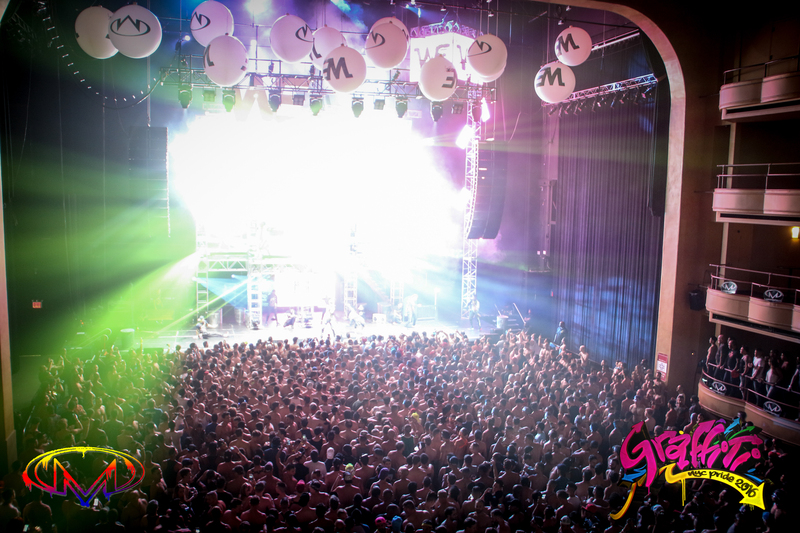 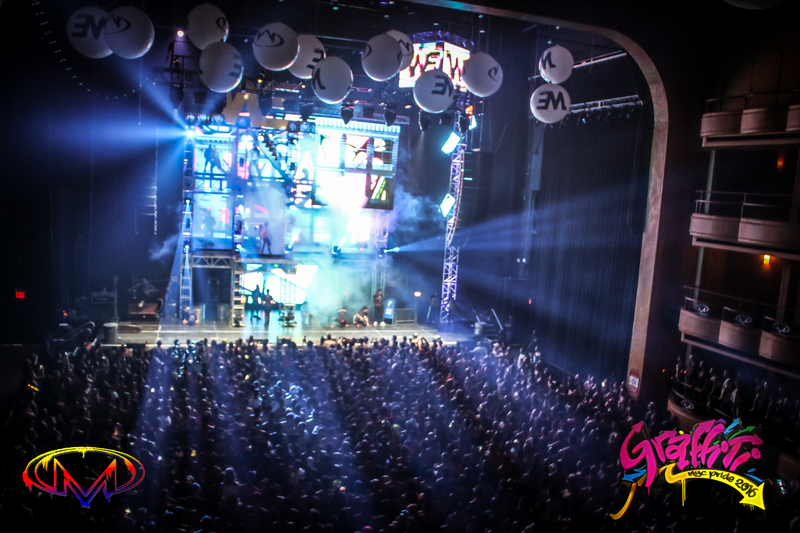 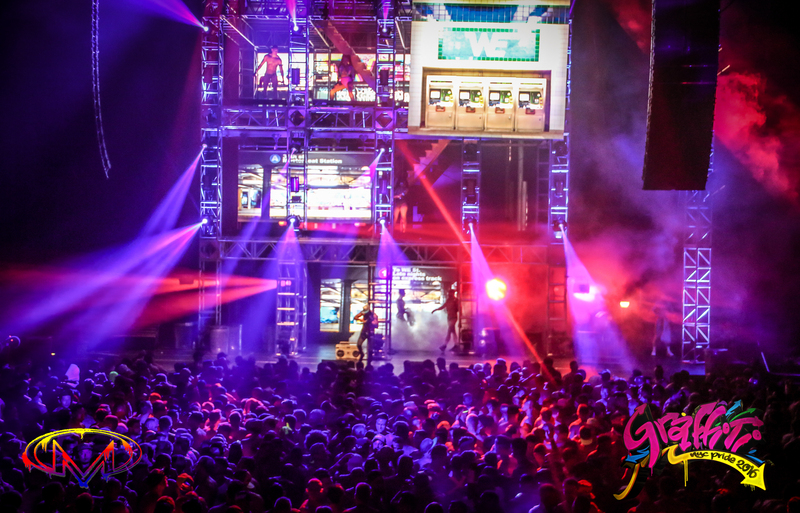 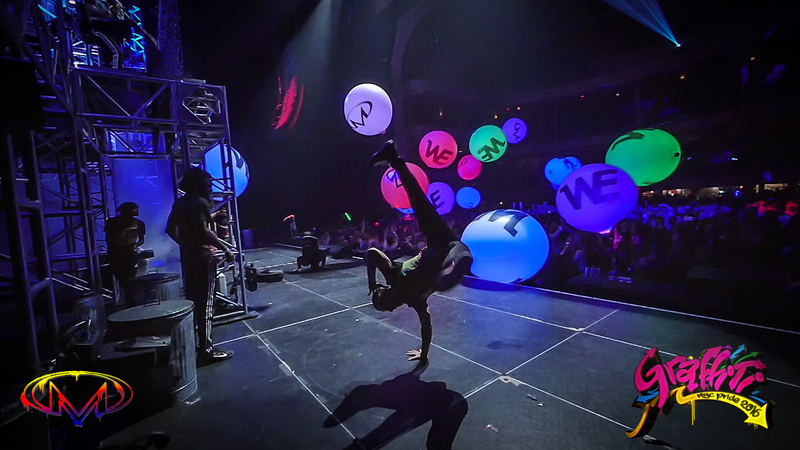 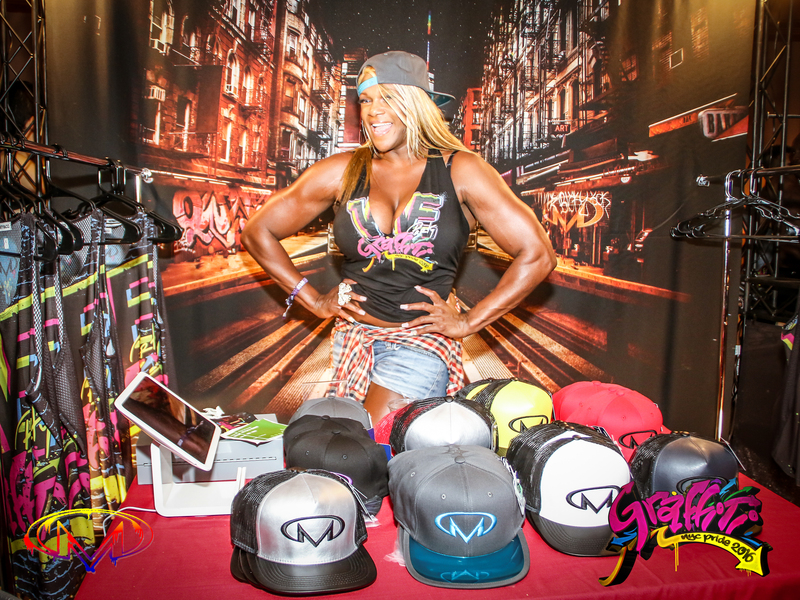 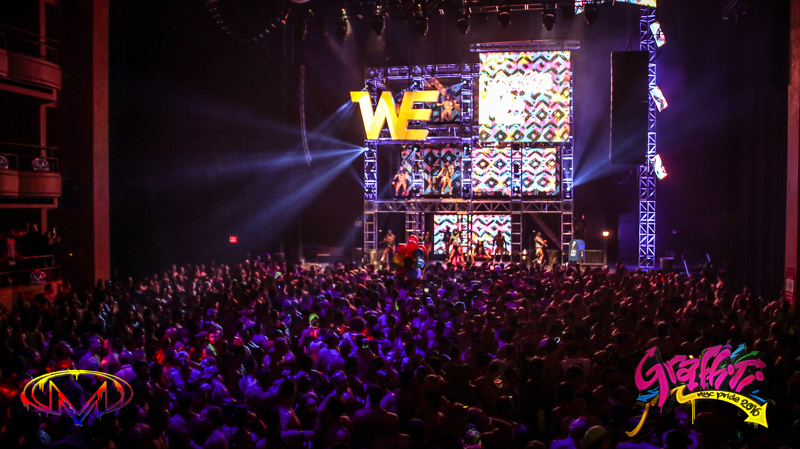 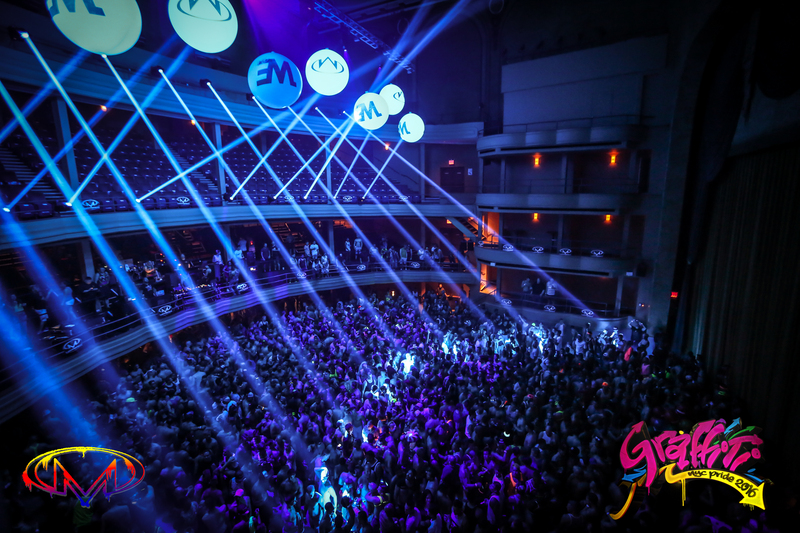 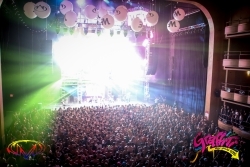 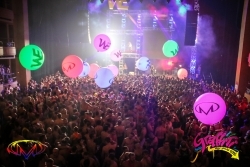 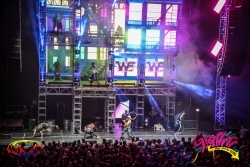 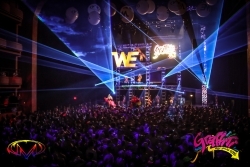 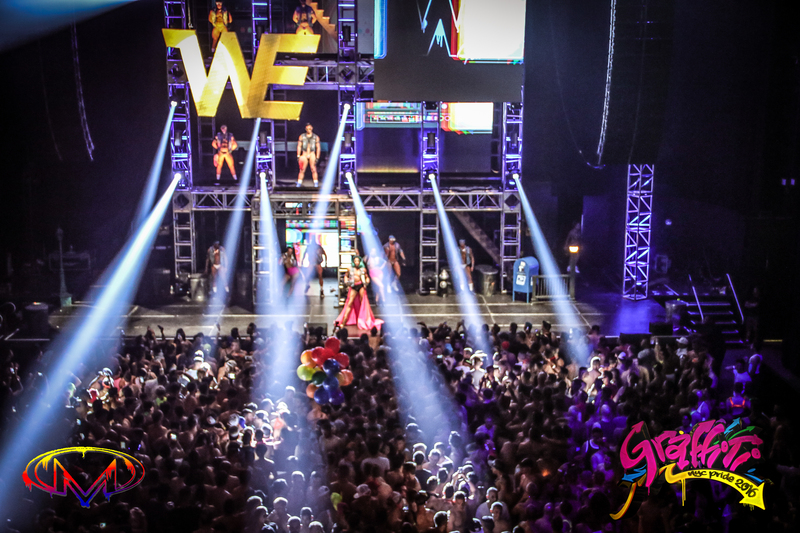 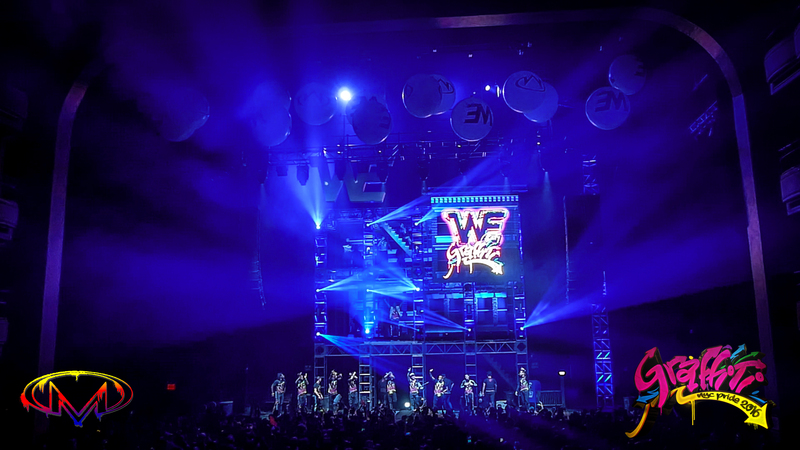 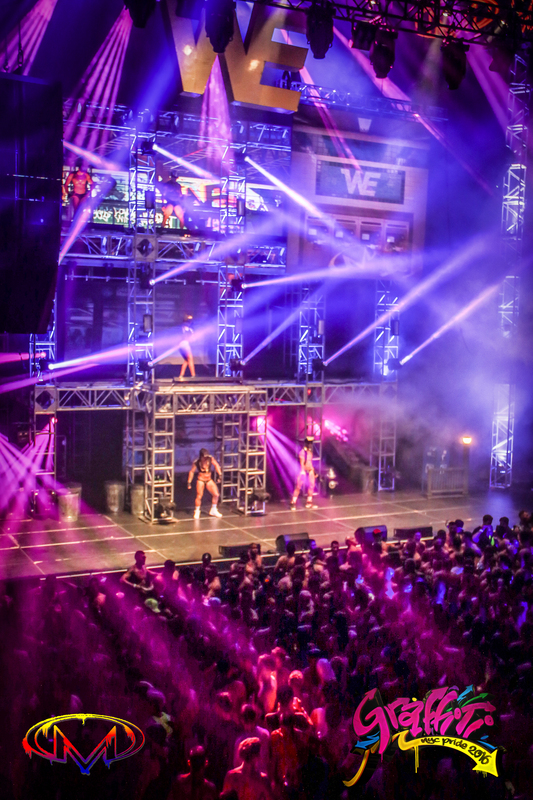 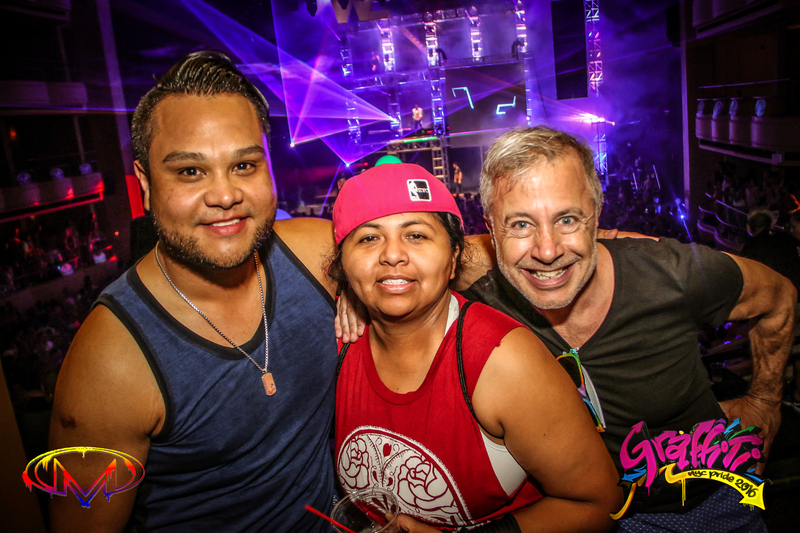 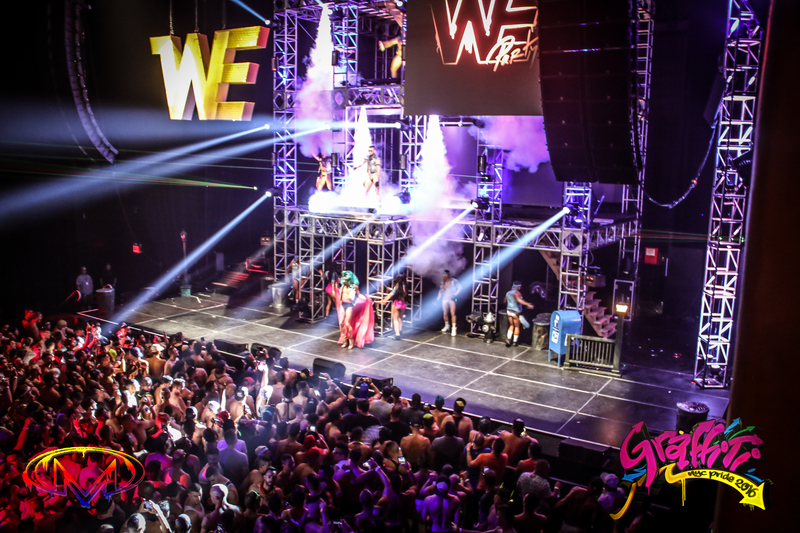 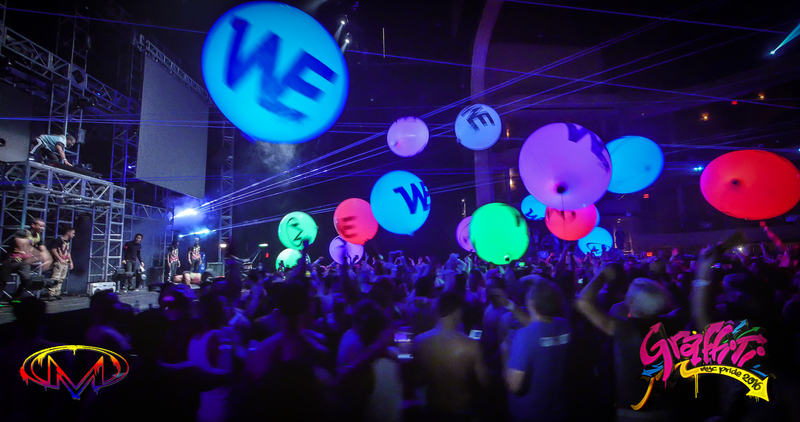 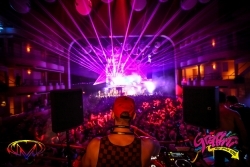 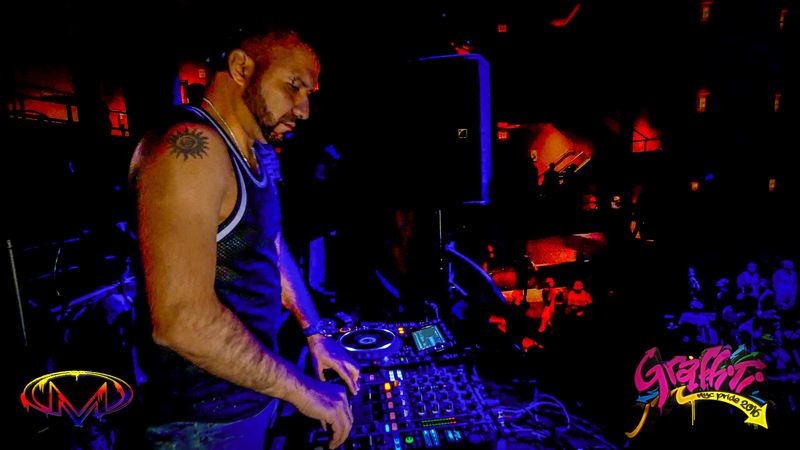 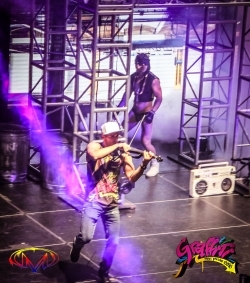 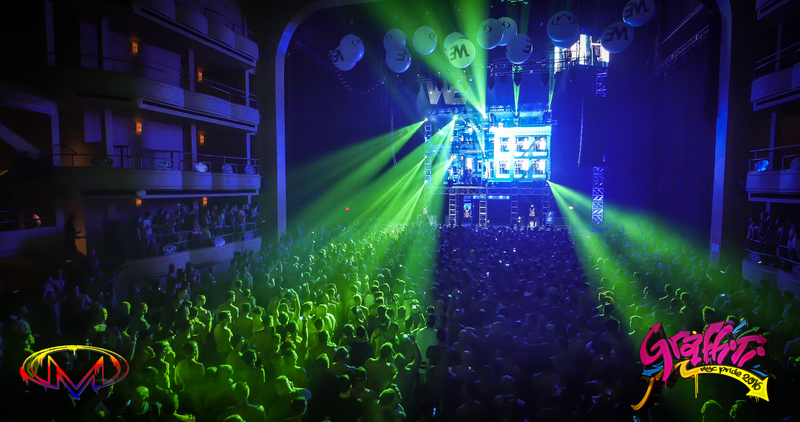 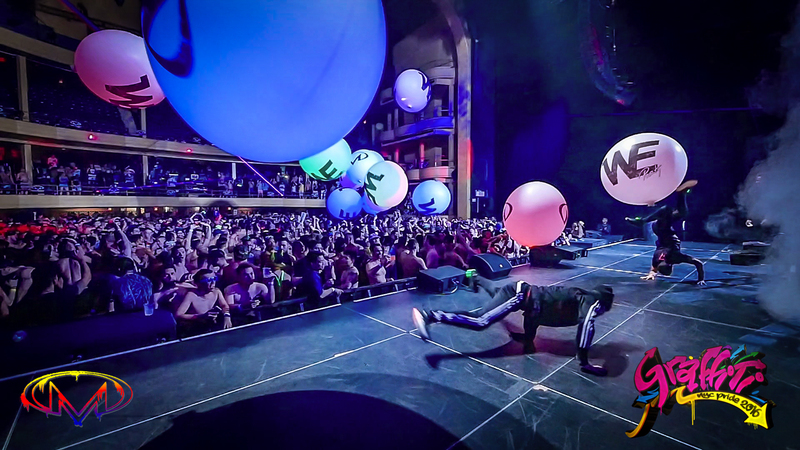 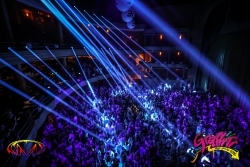 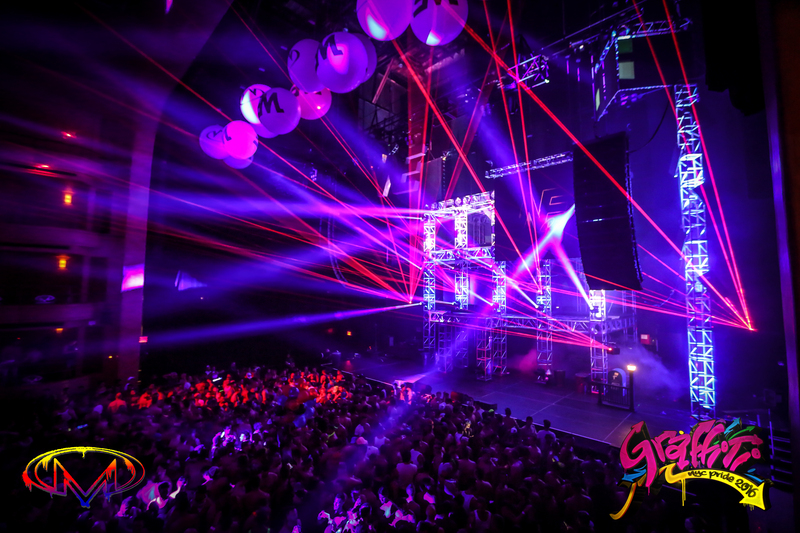 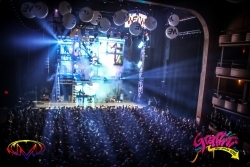 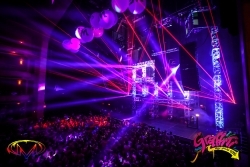 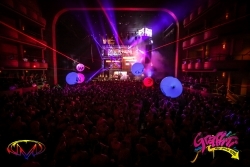 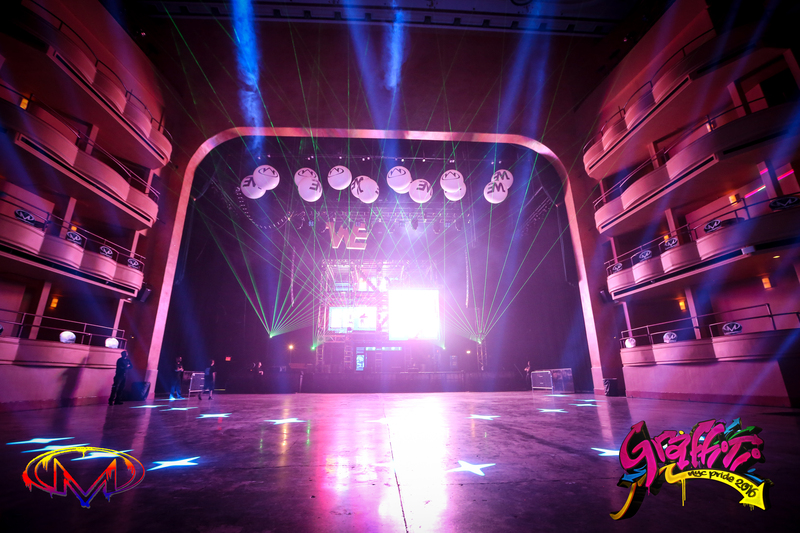 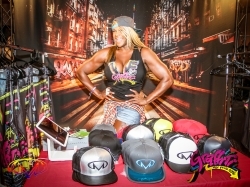 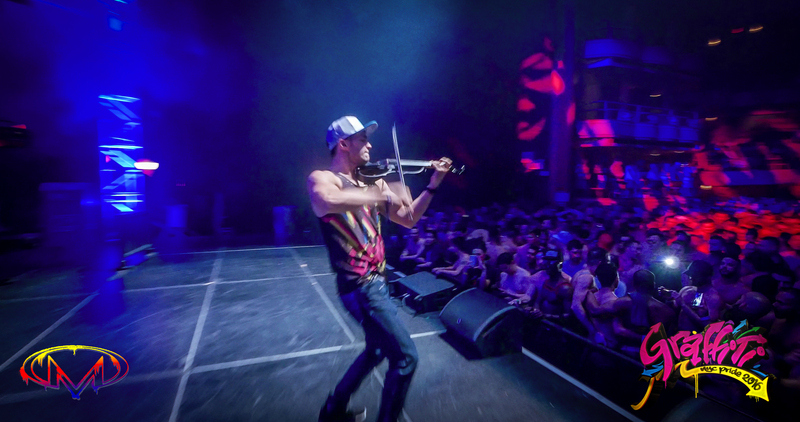 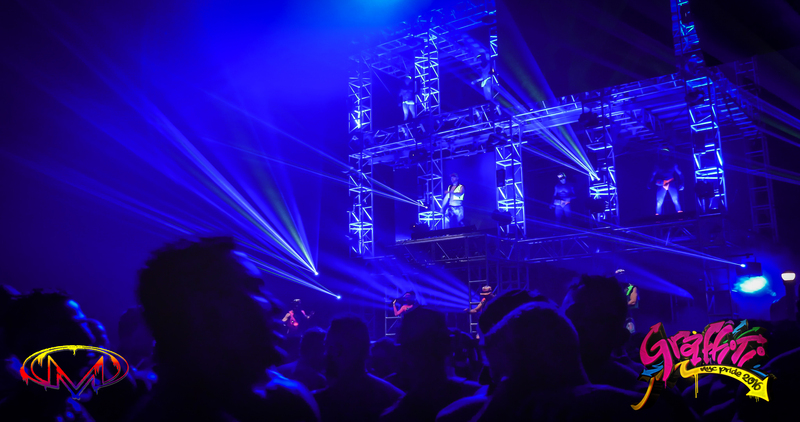 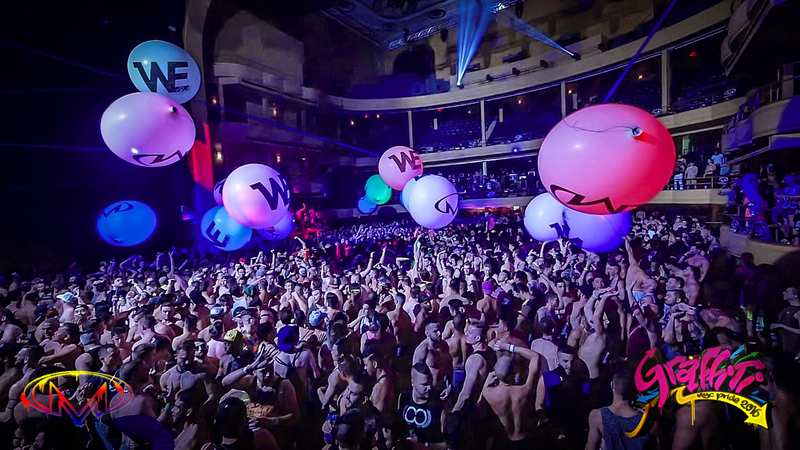 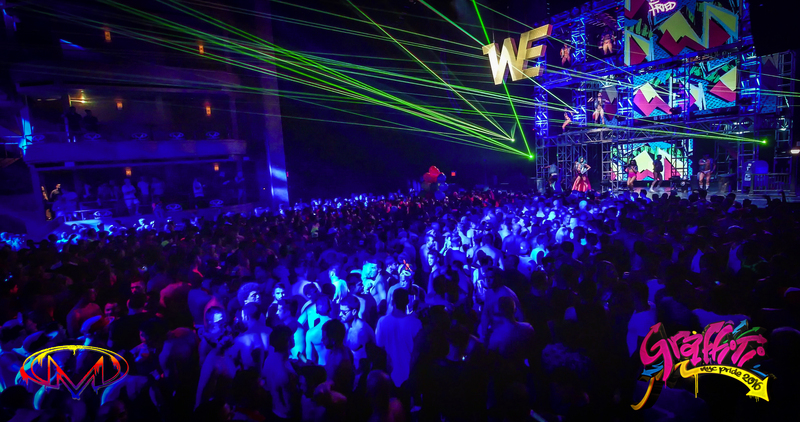 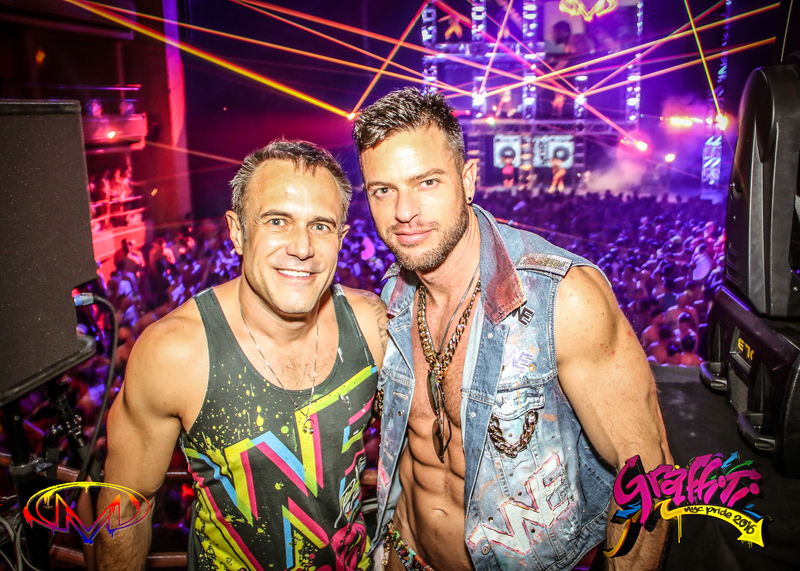 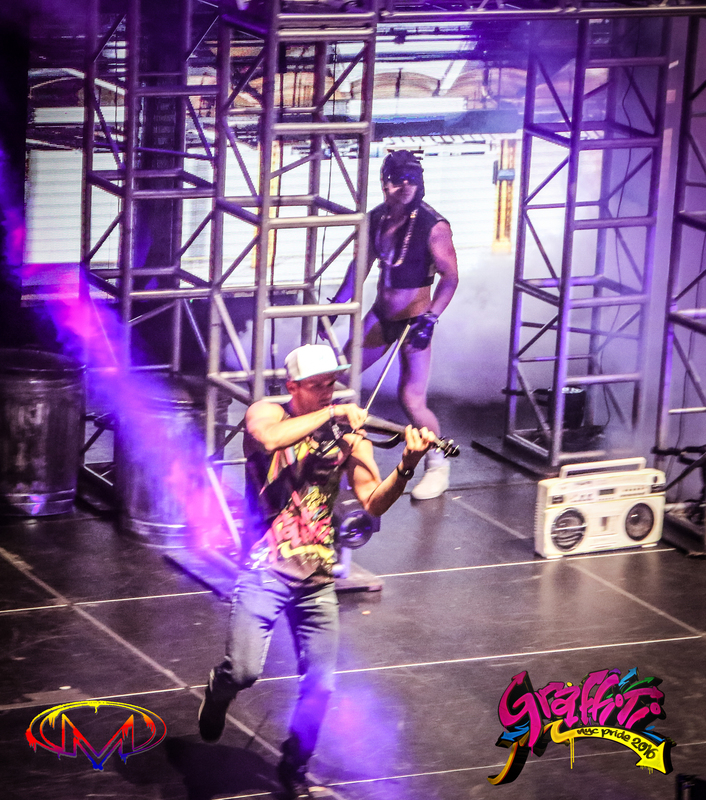 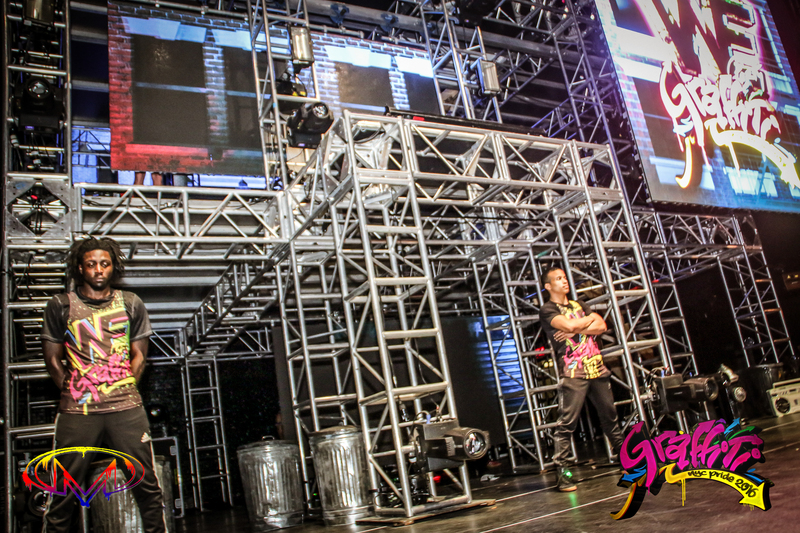 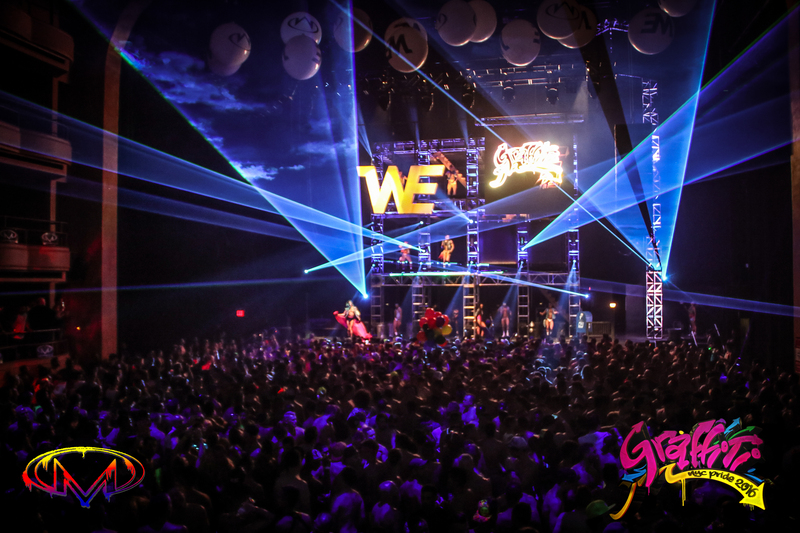 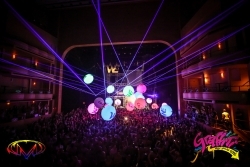 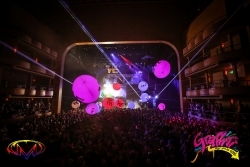 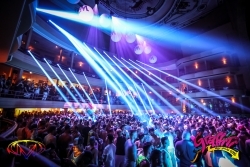 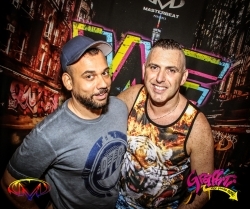 Over three thousand guys and girls from around the world returned to NYC’s legendary Hammerstein Ballroom as Masterbeat once again presented the biggest event of NYC Pride: Graffiti. 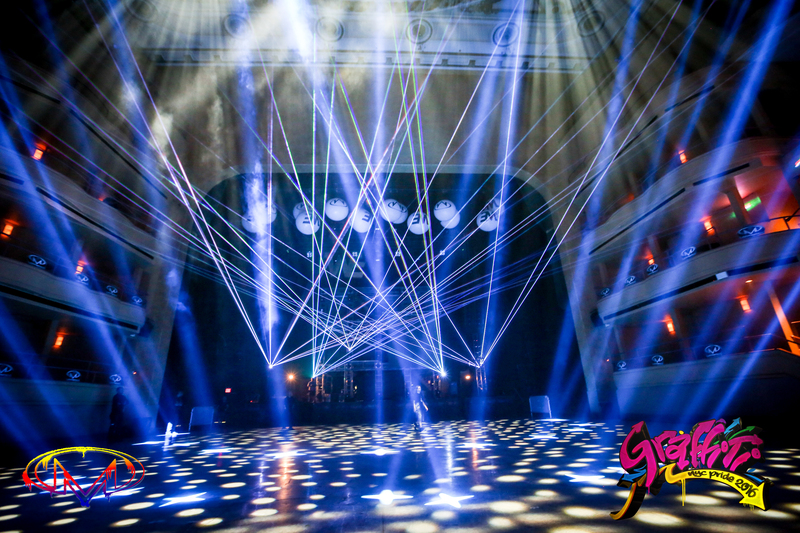 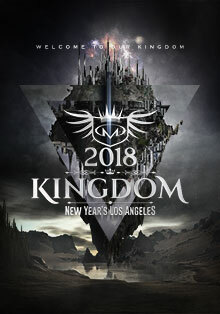 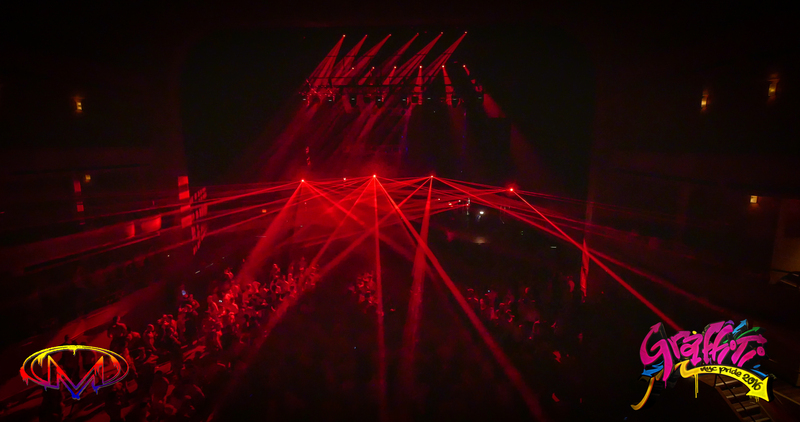 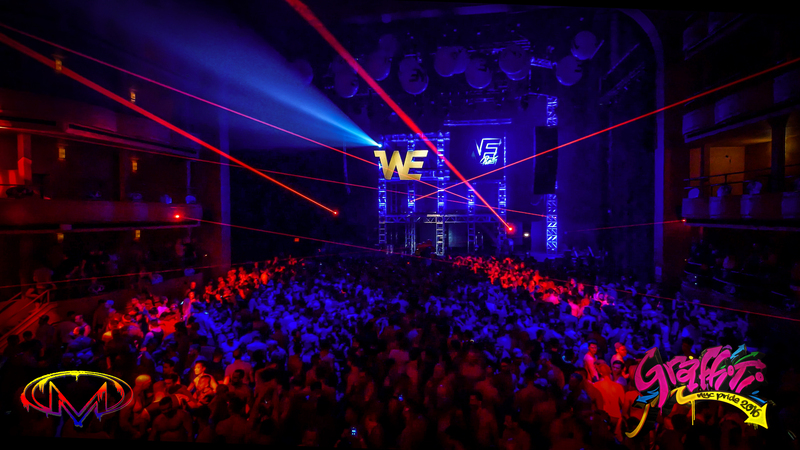 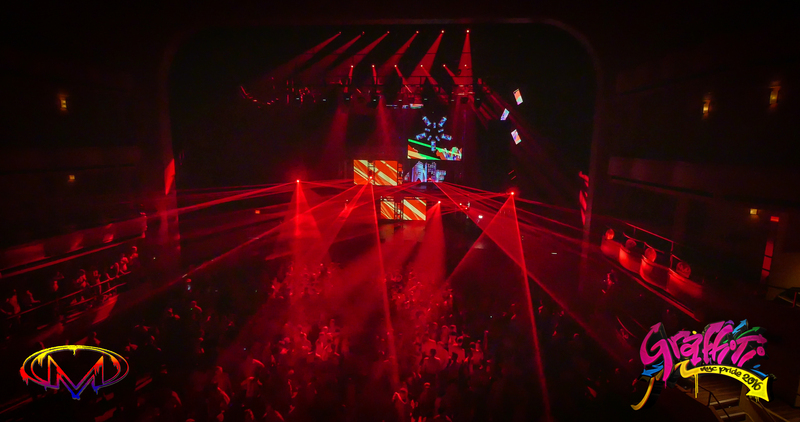 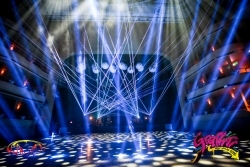 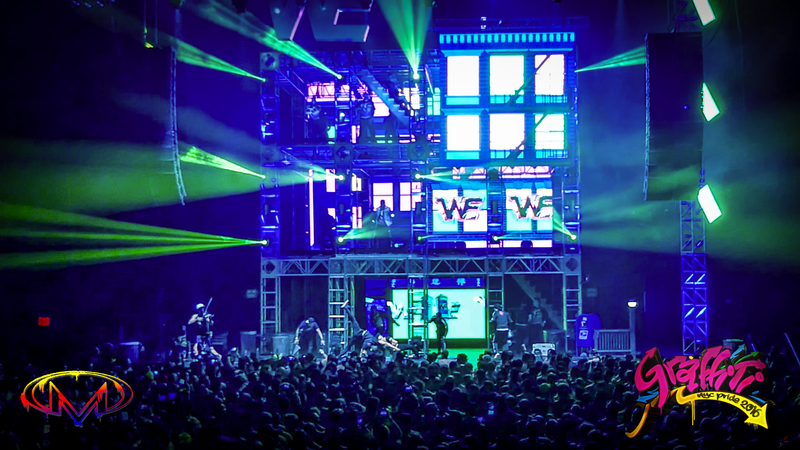 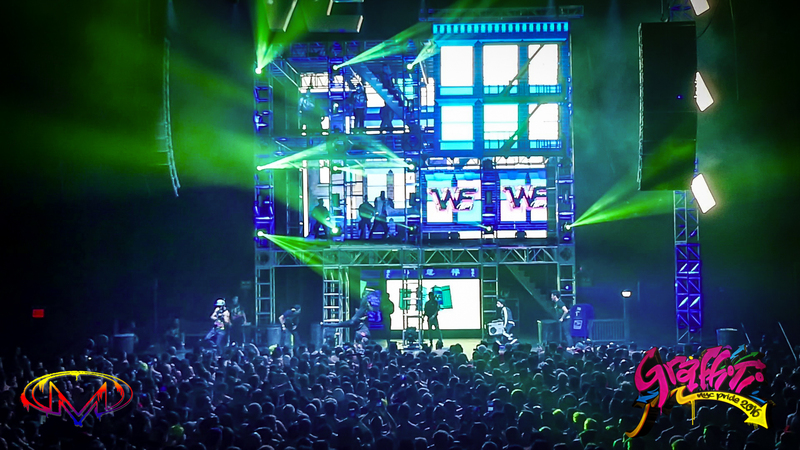 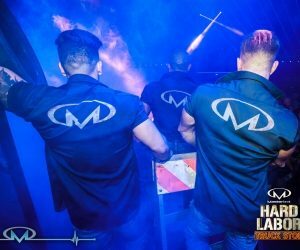 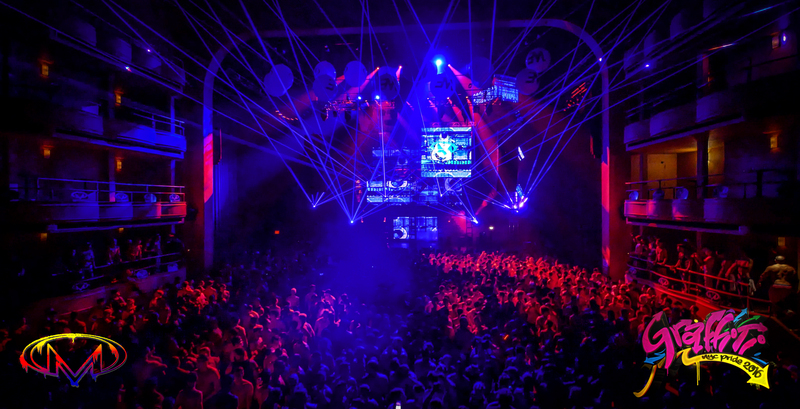 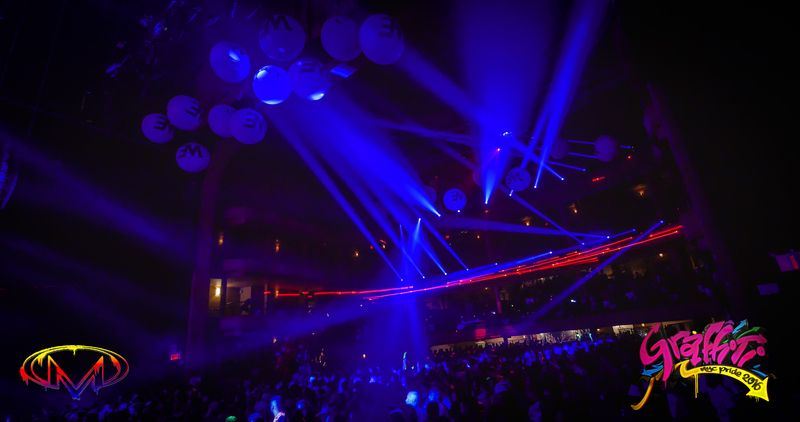 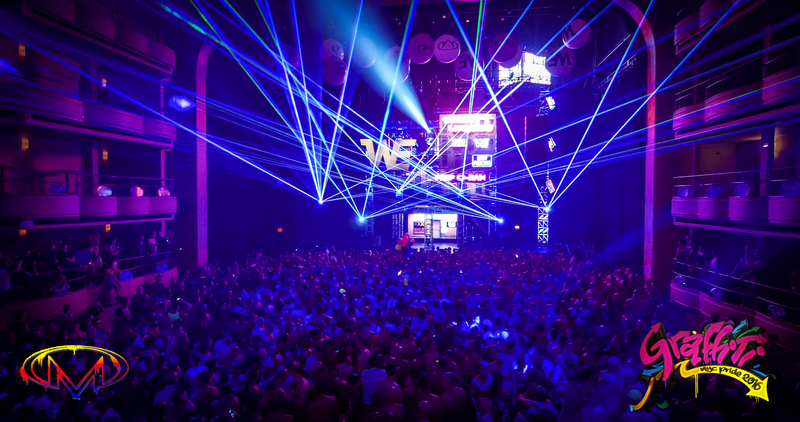 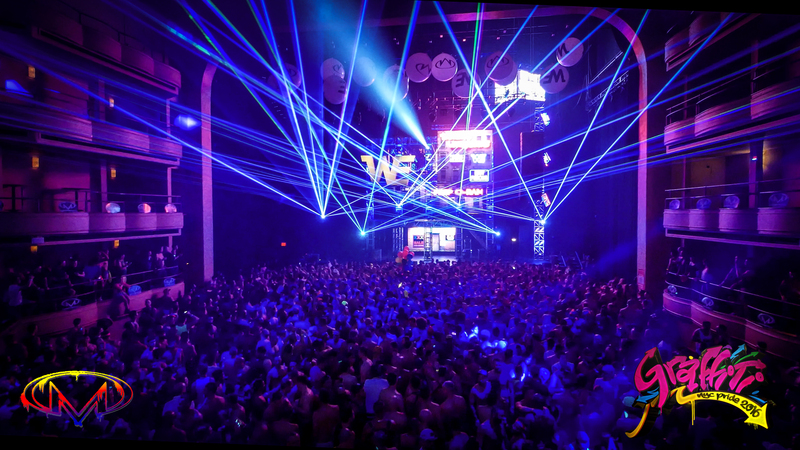 We transformed NYC’s greatest venue into NYC’s biggest mega-club with 6 points of thundering line array sound, spectacular lasers and a stage production that has made Masterbeat famous. 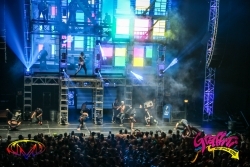 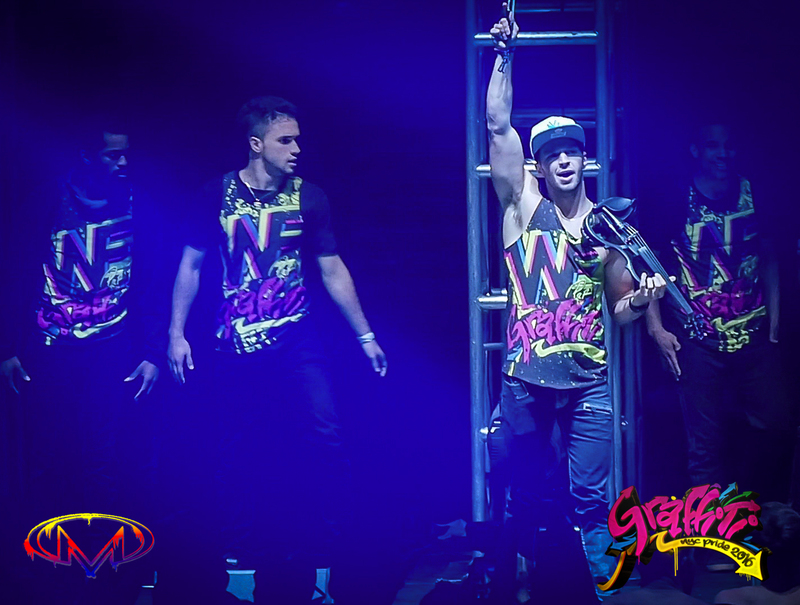 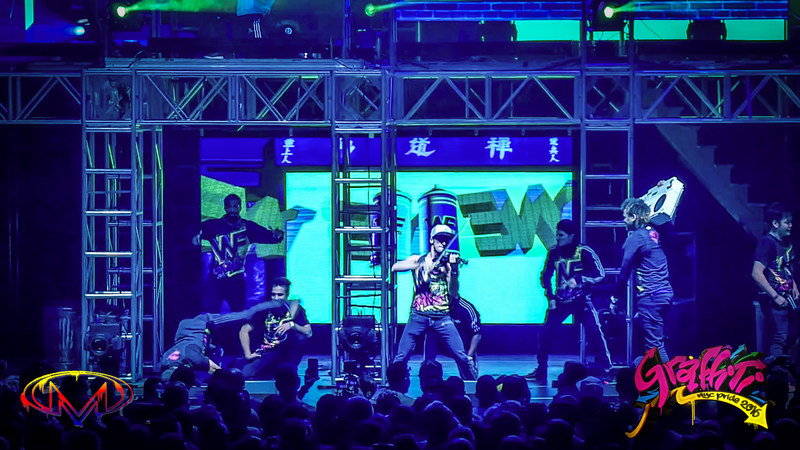 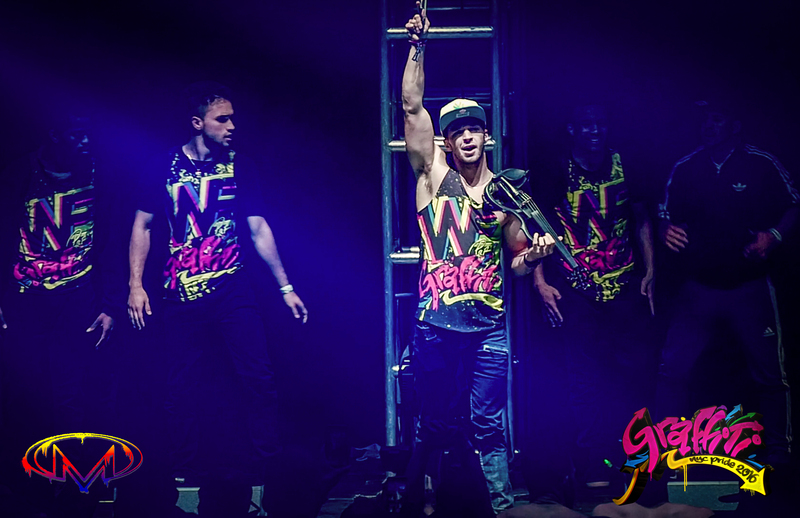 World class dancers, live shows and 10 stories of staging and video combined to for our new original theme “Graffiti” where we took you back to the streets of New York, complete with break dancing, ghetto blasters, indie artists and musicians, and the beats of Oscar Velazquez and Micky Friedmann.